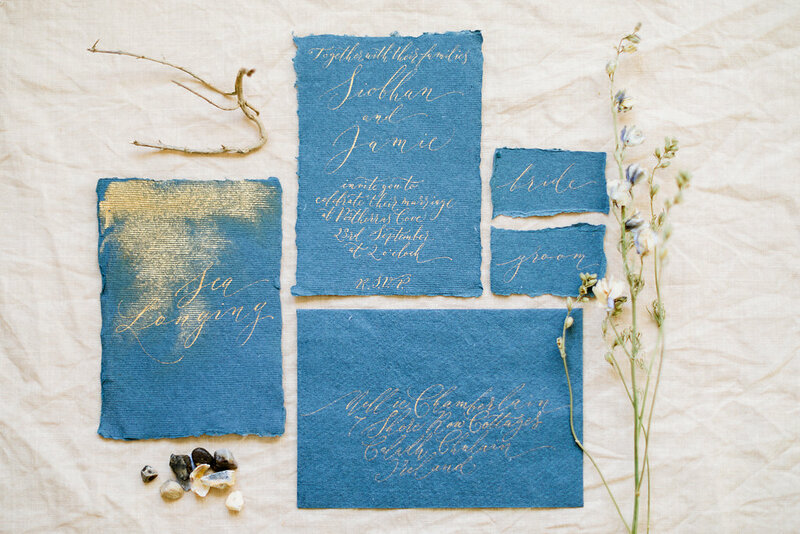 Trends in calligraphy change as often as the seasons. 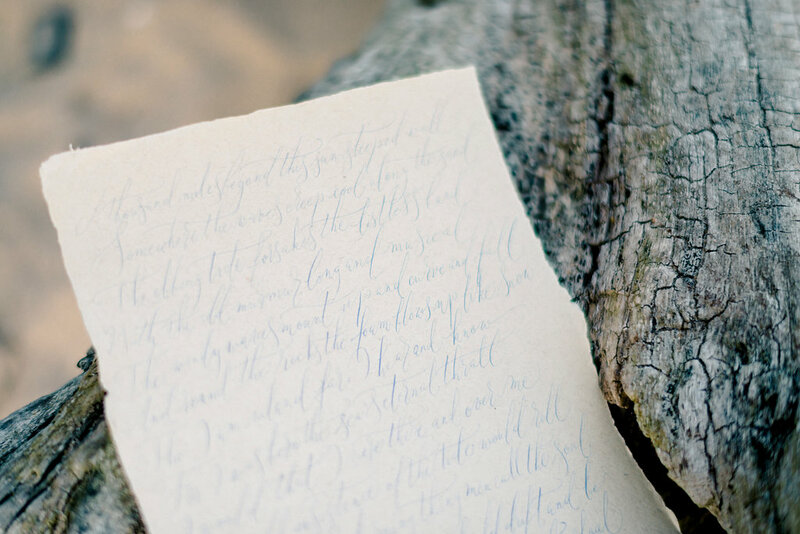 In one of last month’s blogs I talked about learning a loose, organic lettering style – all by changing the joining strokes and flow of a basic modern calligraphy script. 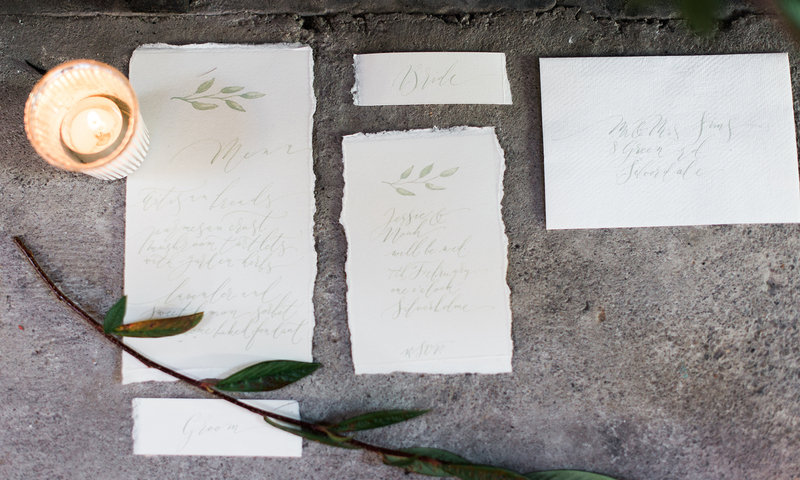 Organic lettering has been hugely popular in 2017 – but I know from experience that next year I’ll be writing something very different. 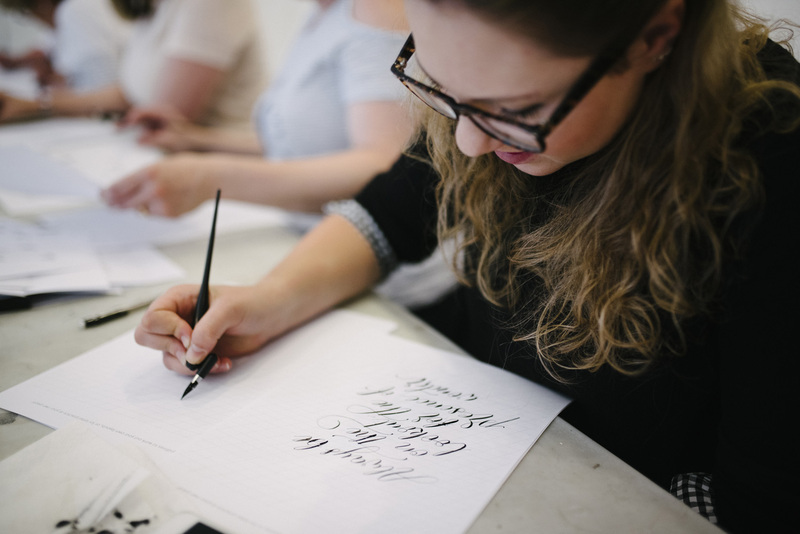 Calligraphy appeals to so many people because it’s easy to learn (with a little guidance at first!). 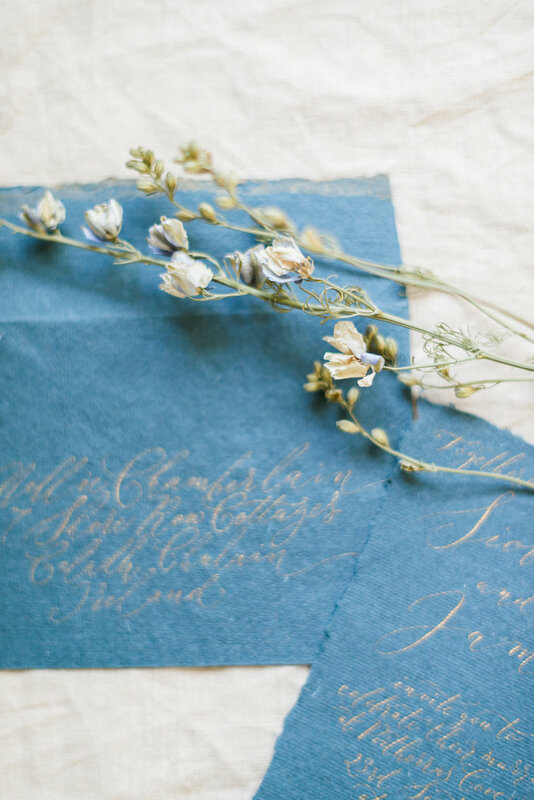 It’s the joy of learning which attracts us to the art of lettering and consequently those who practice calligraphy are endlessly looking to improve, to progress. 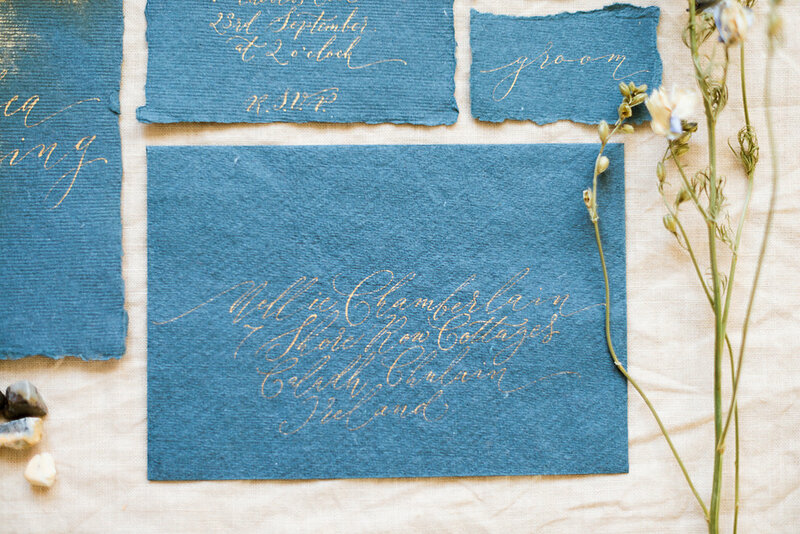 It’s this that makes being a calligrapher in 2017 so fascinating. 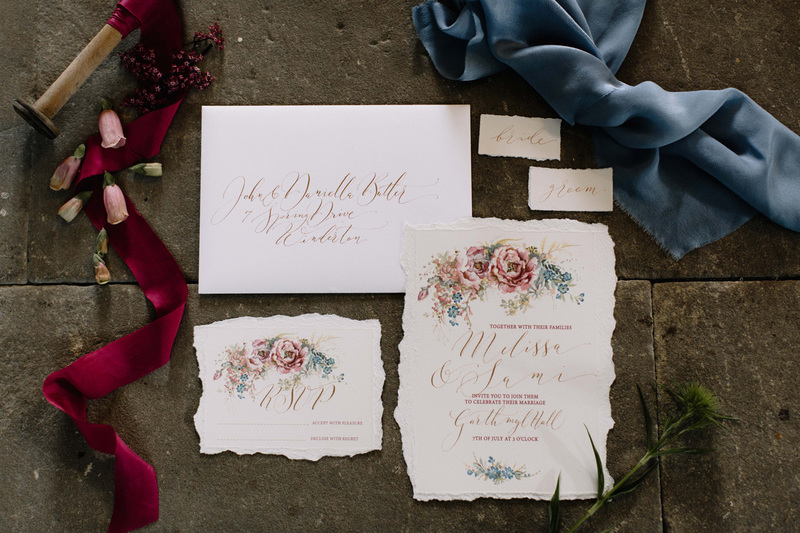 I can never rest on my laurels as a modern calligrapher – I’m always looking for the next trend in style, in technique or in writing surfaces. 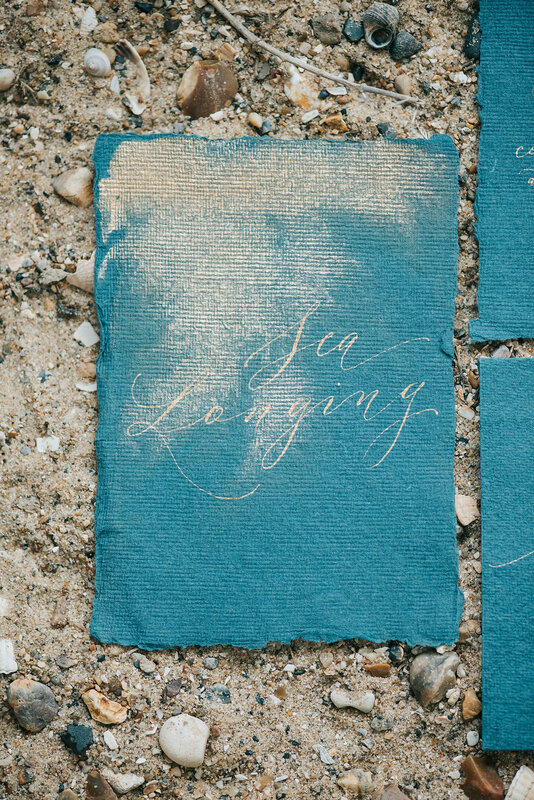 If you’ve just begun your calligraphy adventures, do enjoy the journey. 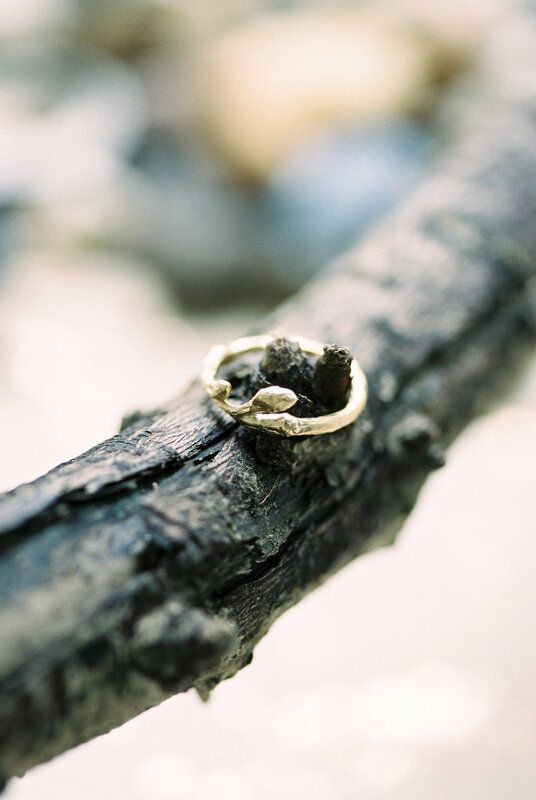 It will never grow old! 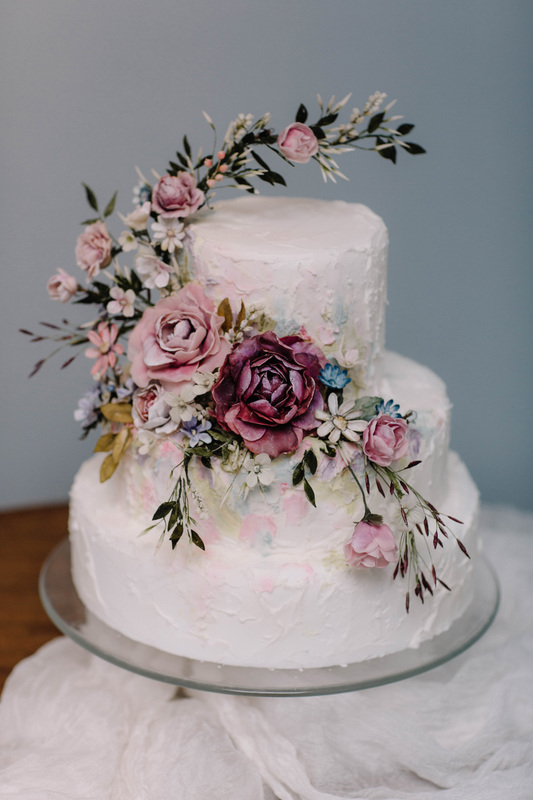 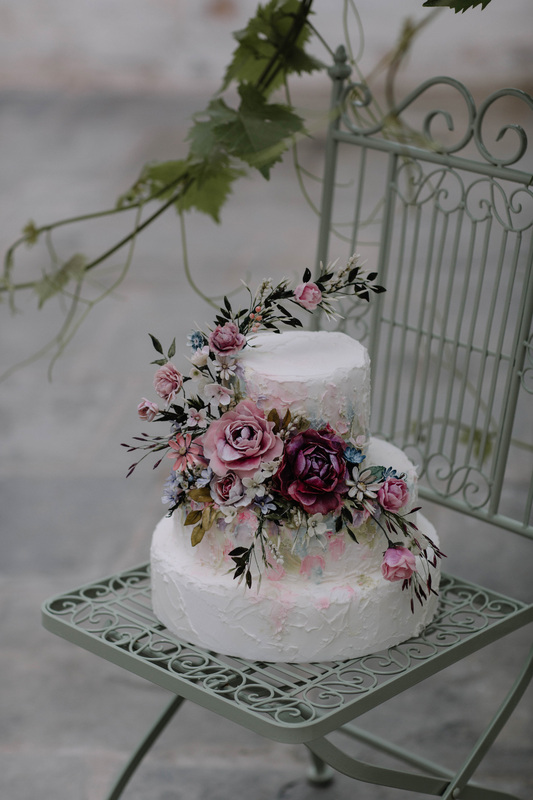 Cake – Designer Cake Co. 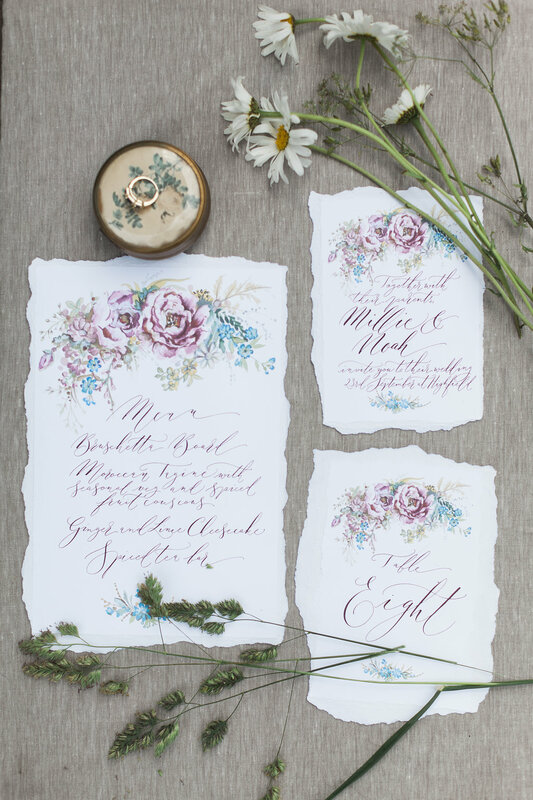 Illustrated stationery in a collaboration with fabulous designer Amy Swann. 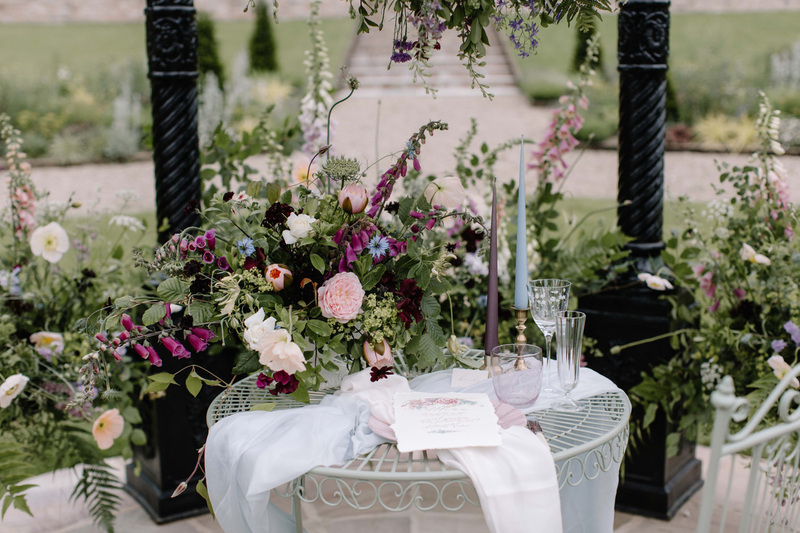 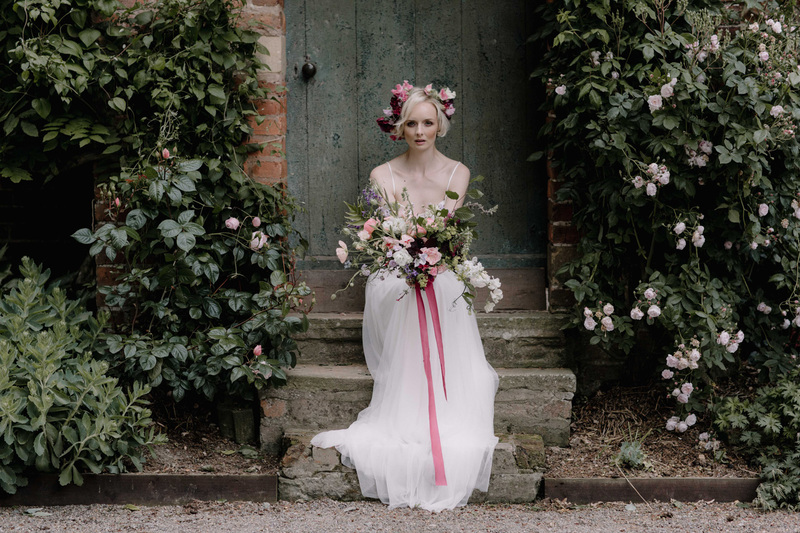 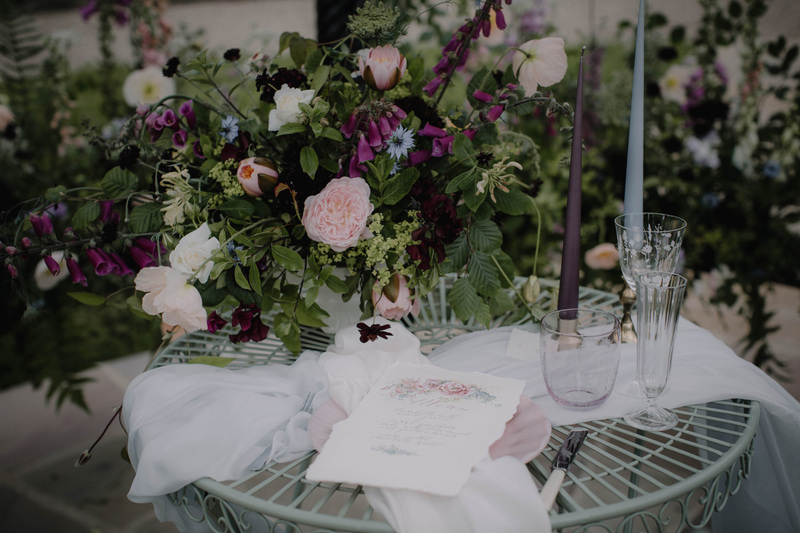 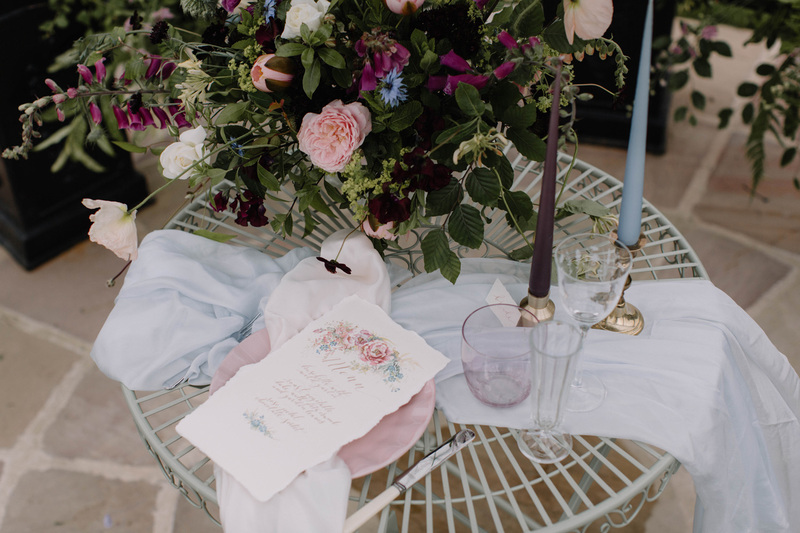 English country garden styling with more romance than any midsummer night’s dream. 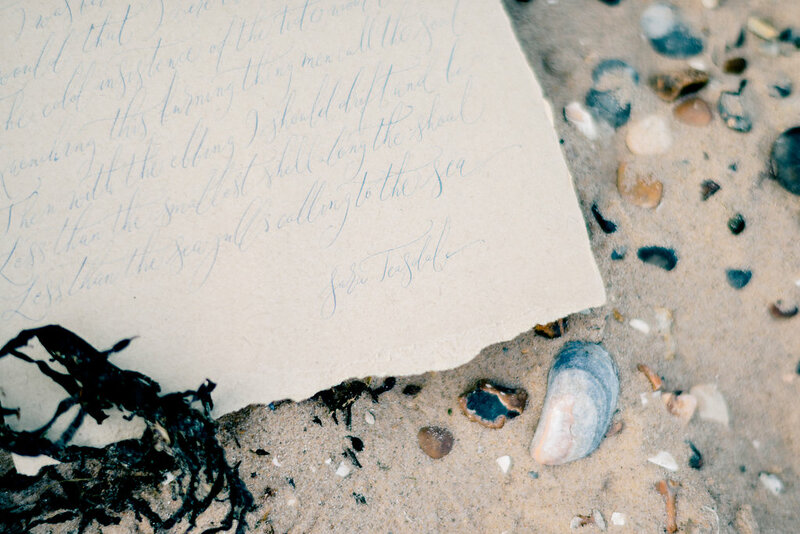 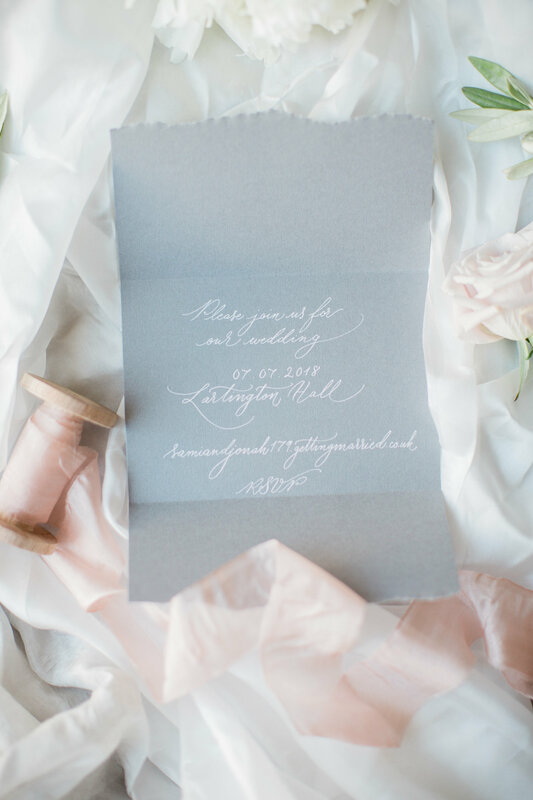 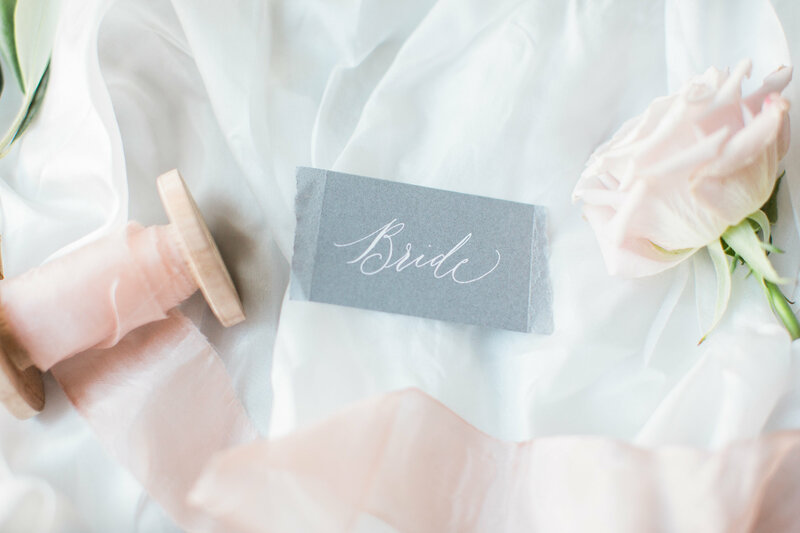 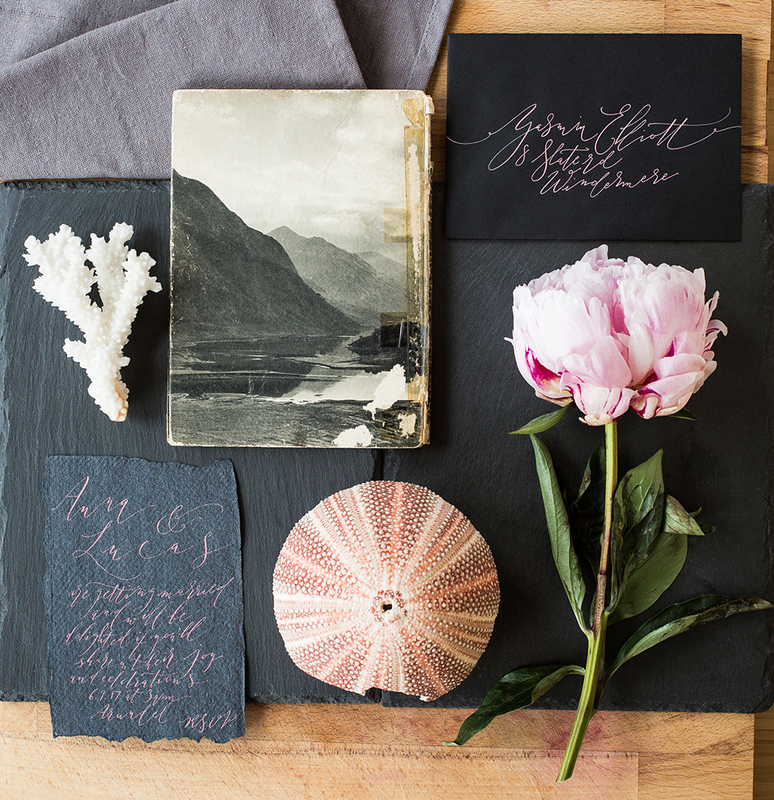 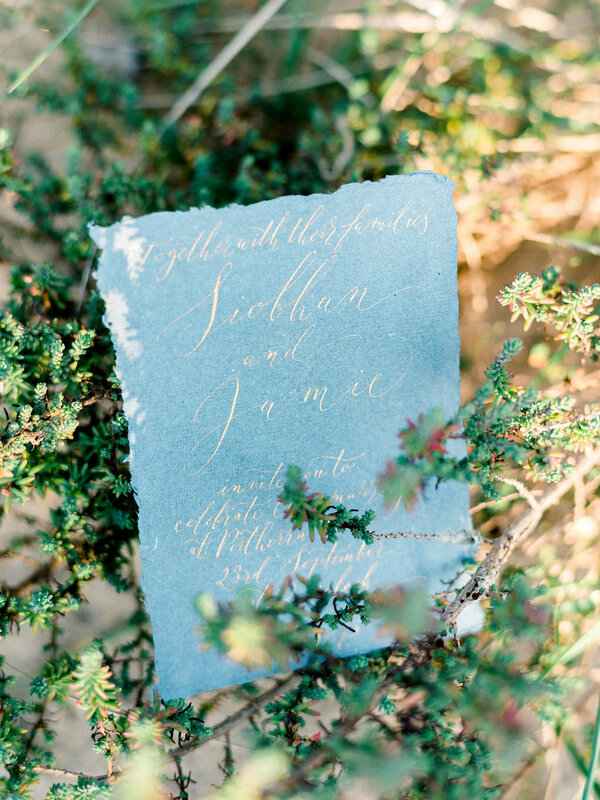 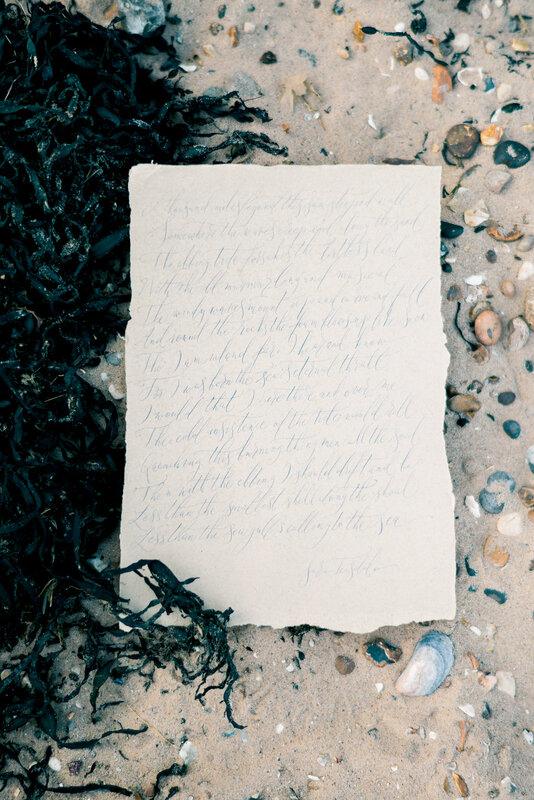 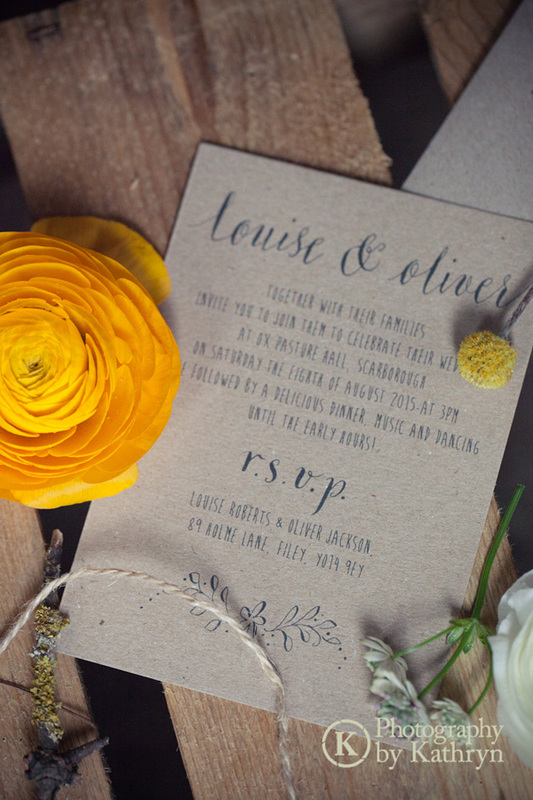 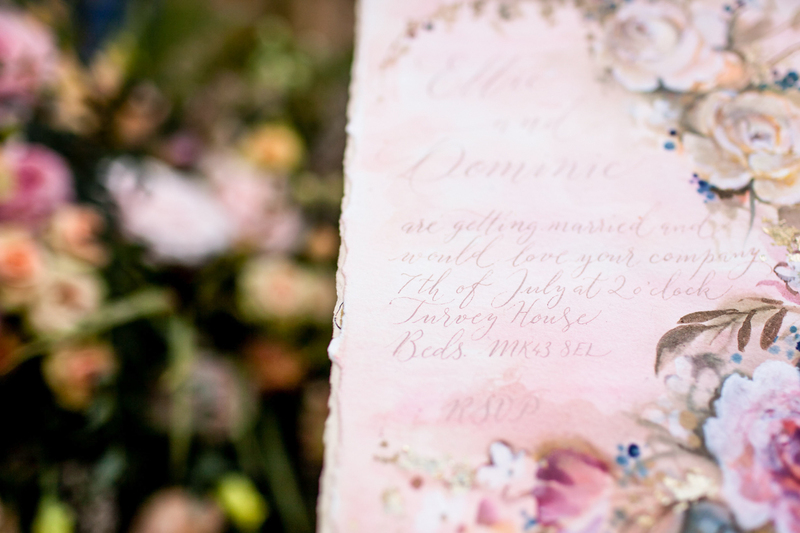 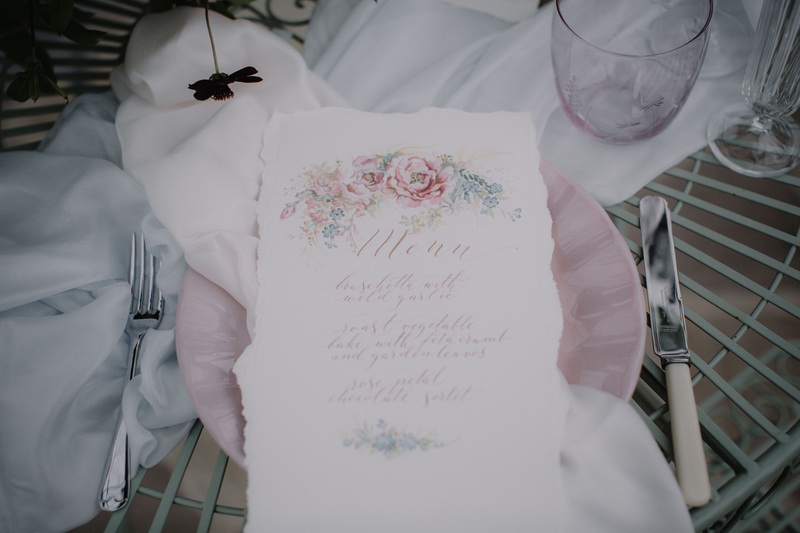 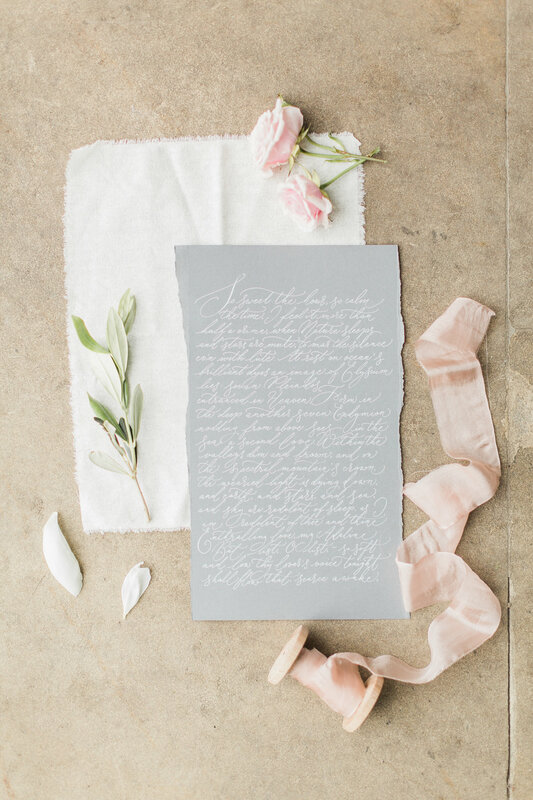 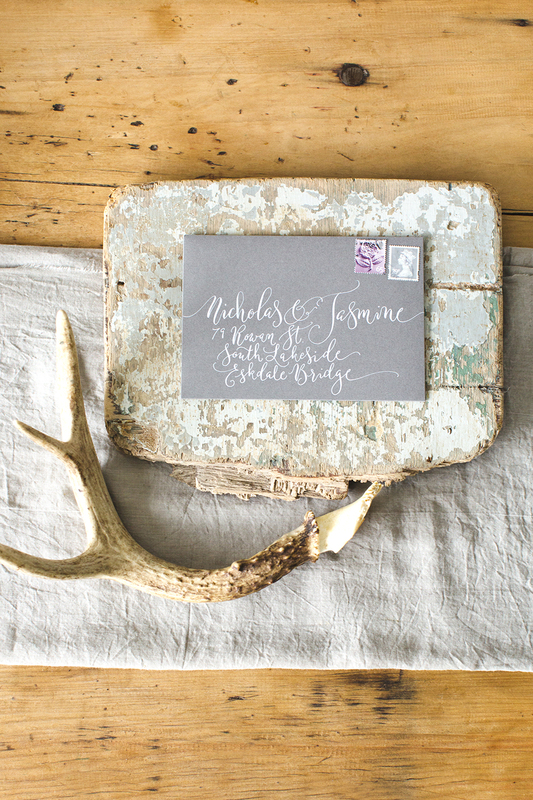 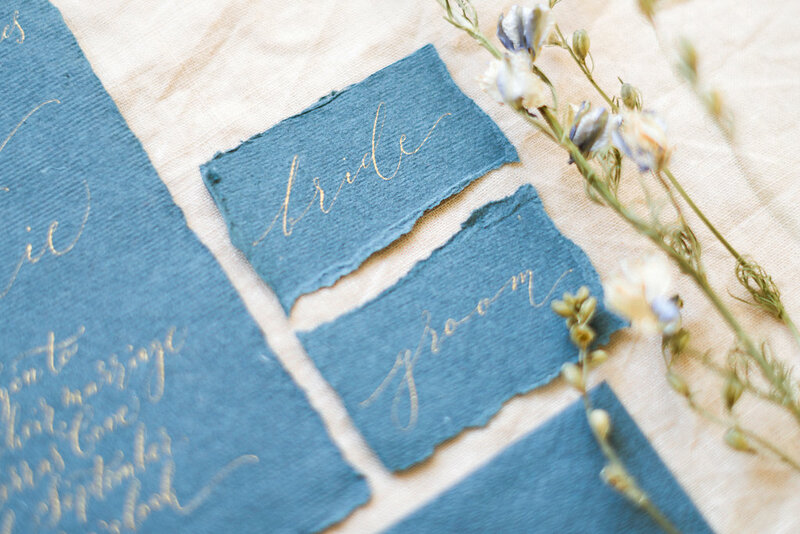 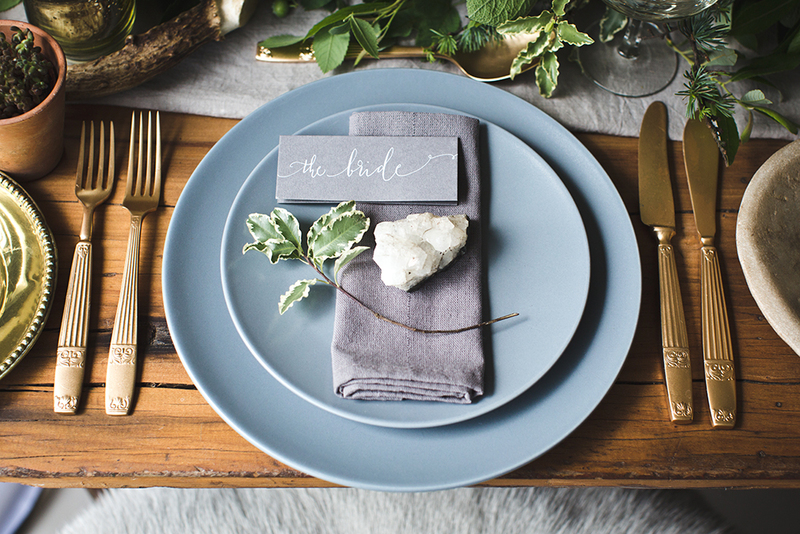 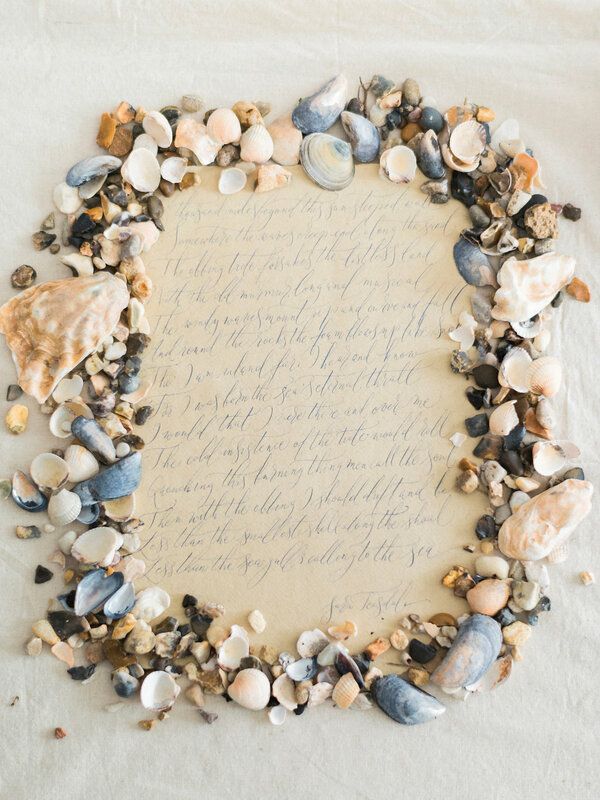 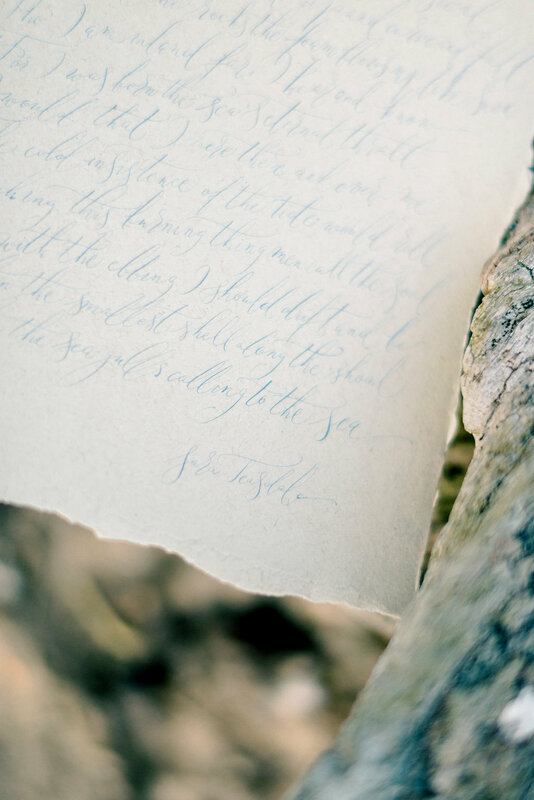 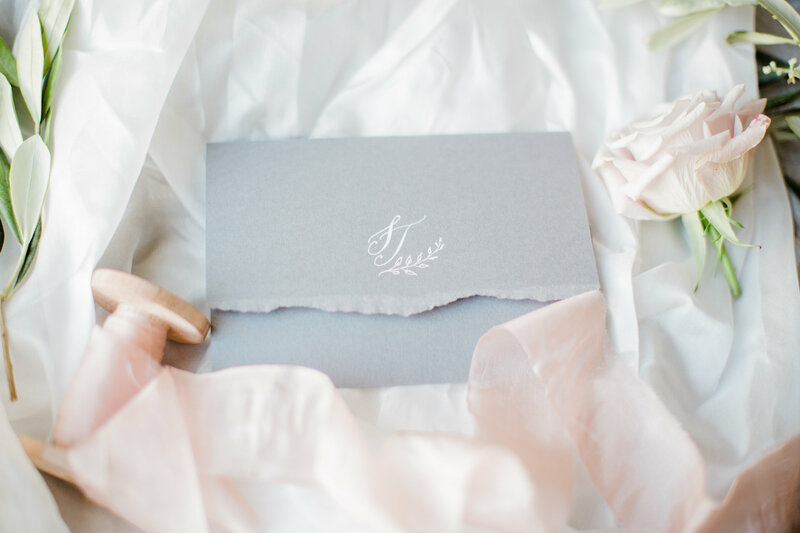 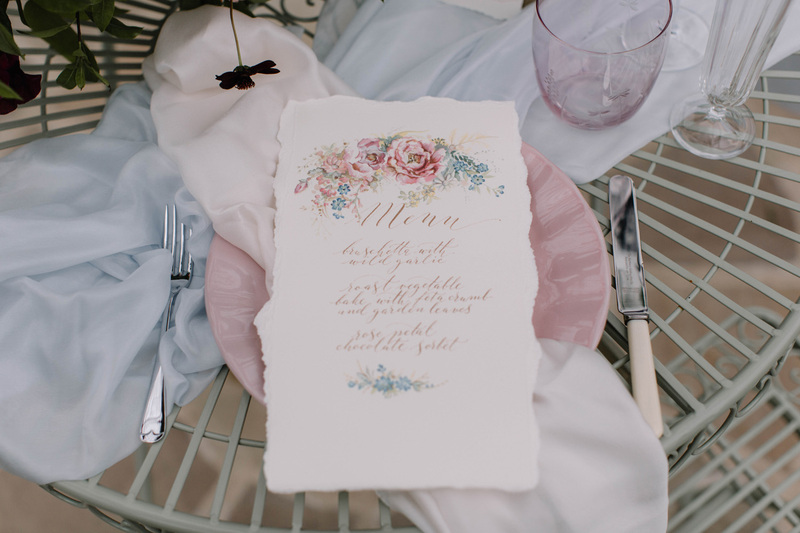 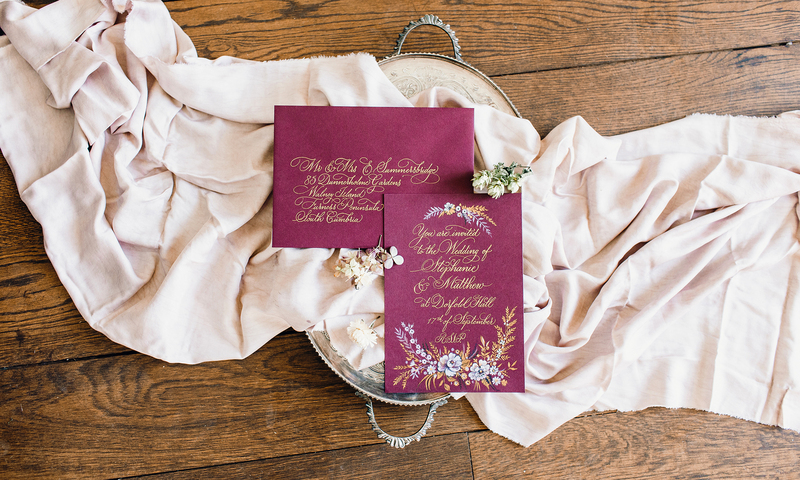 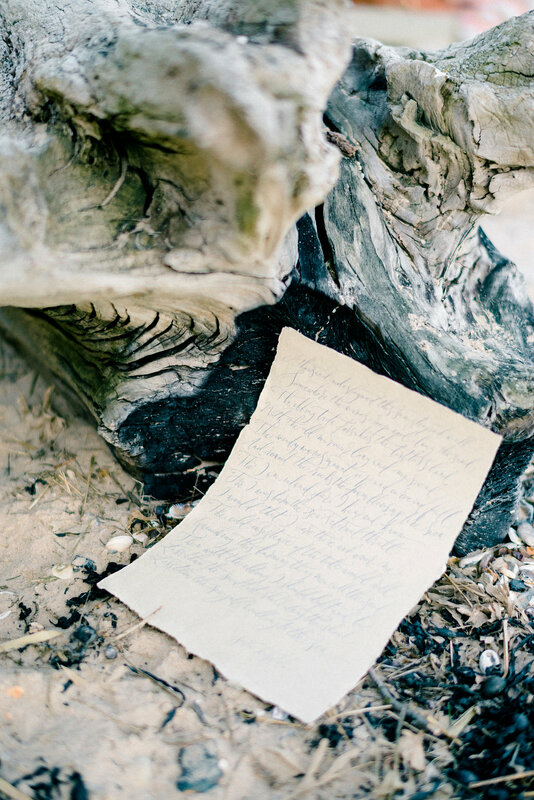 Organic calligraphy lettering, torn edge stationery and a feminine twist for a timeless summer wedding style. 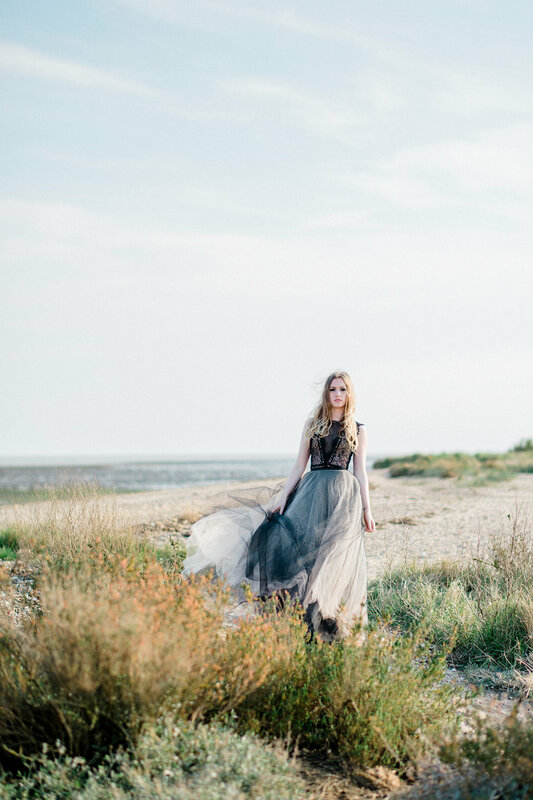 Featured on Love My Dress wedding blog. 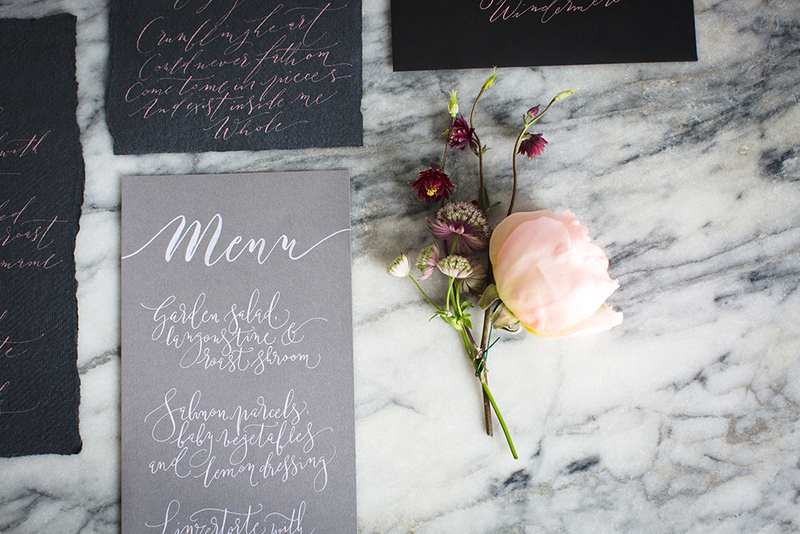 If you’re reading this because you love modern calligraphy but haven’t picked up a pen yet – or if you have a pen but aren’t sure how to get started, it’s time to start learning! 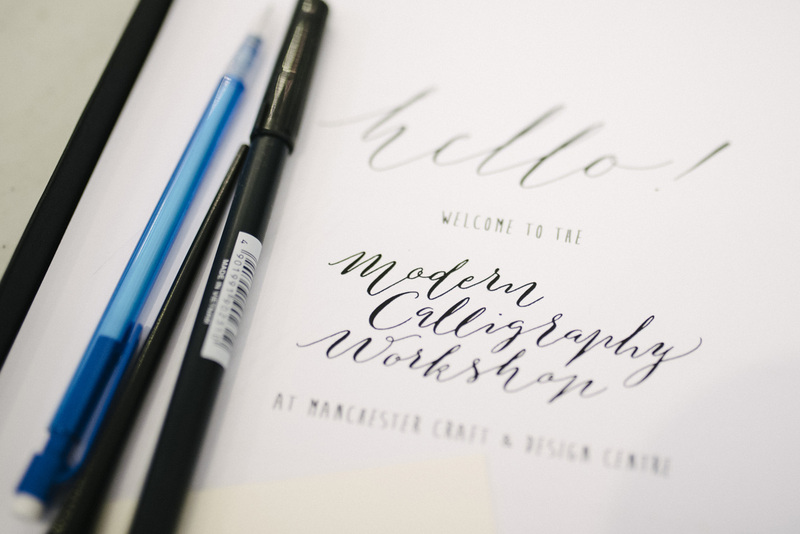 There are a handful of spaces left on my October calligraphy class at Manchester Craft & Design Centre. 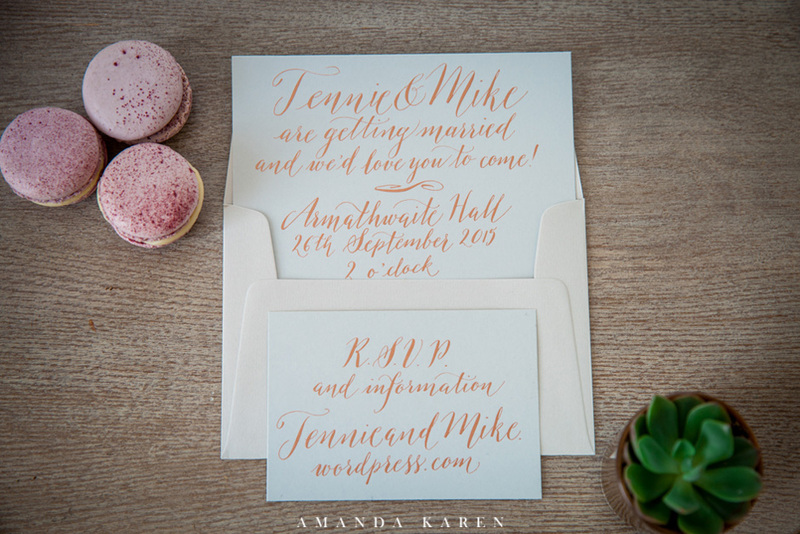 It’s in just over a fortnight and you’ll learn everything you need to know about modern calligraphy techniques in just a couple of hours. 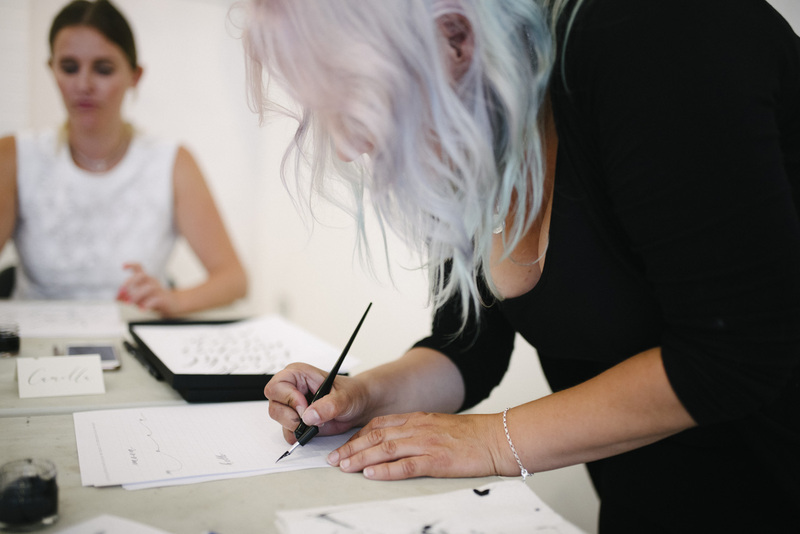 Please don’t be shy to book: it’s a fun class, relaxed and friendly and open to everyone. 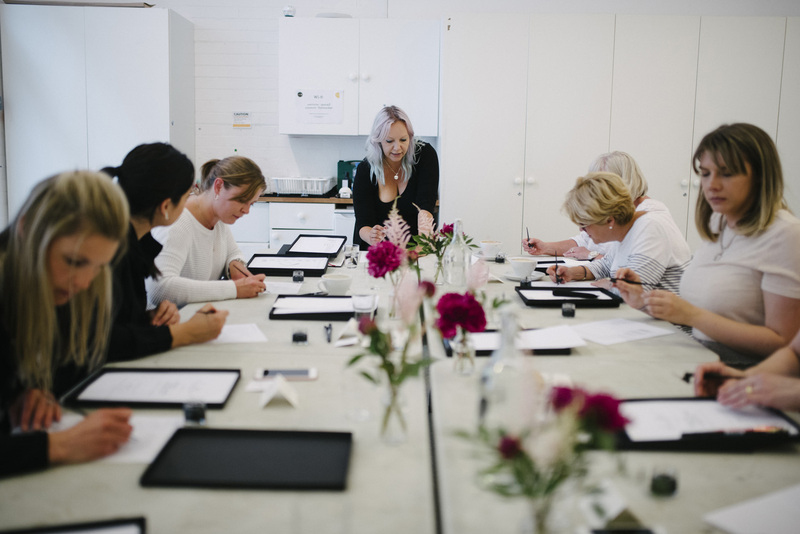 We only take a dozen or so students each time, and everyone has some personal tuition on the day as well as the opportunity to watch demos and ask questions as you learn! 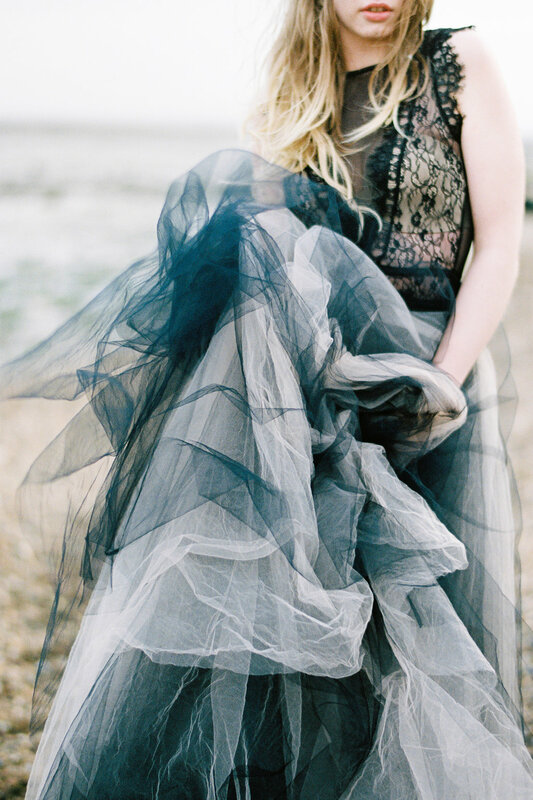 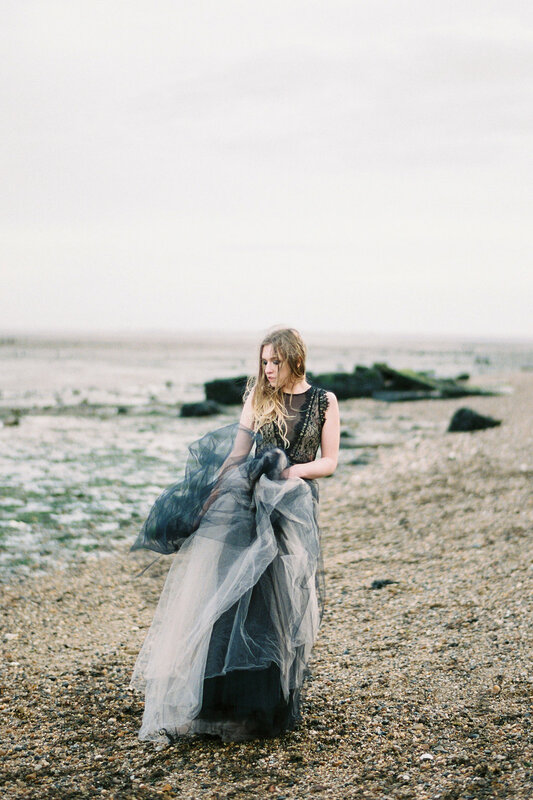 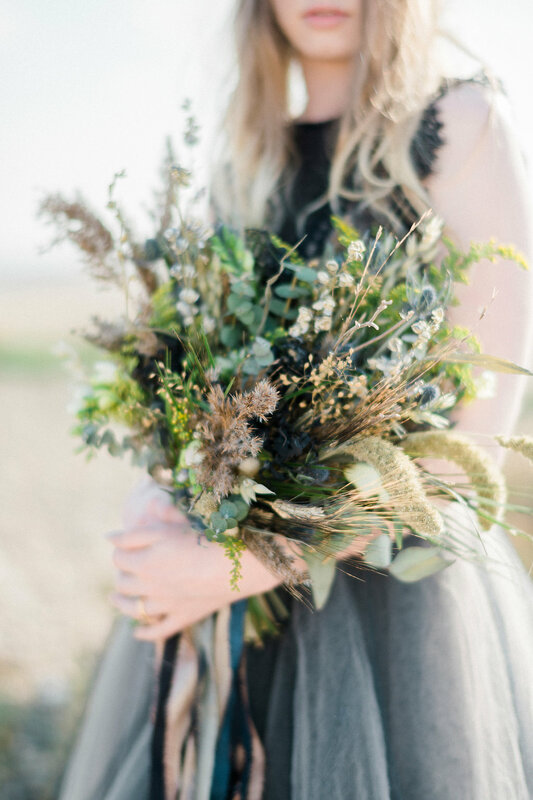 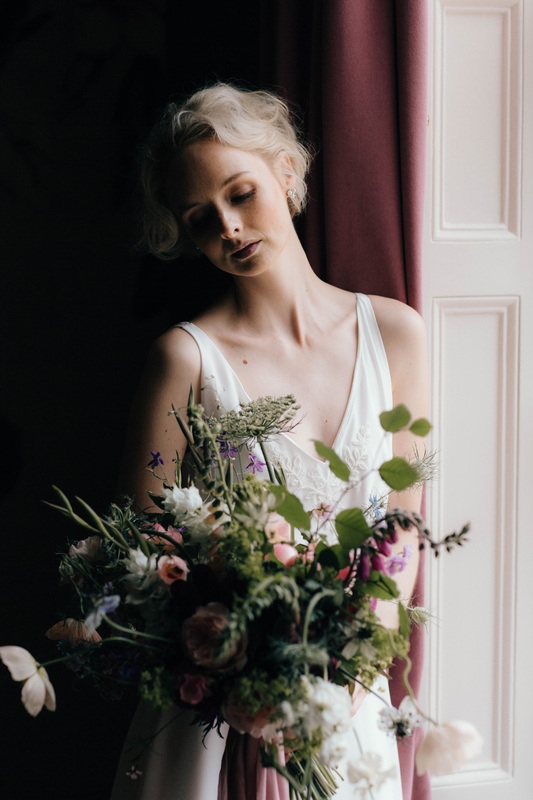 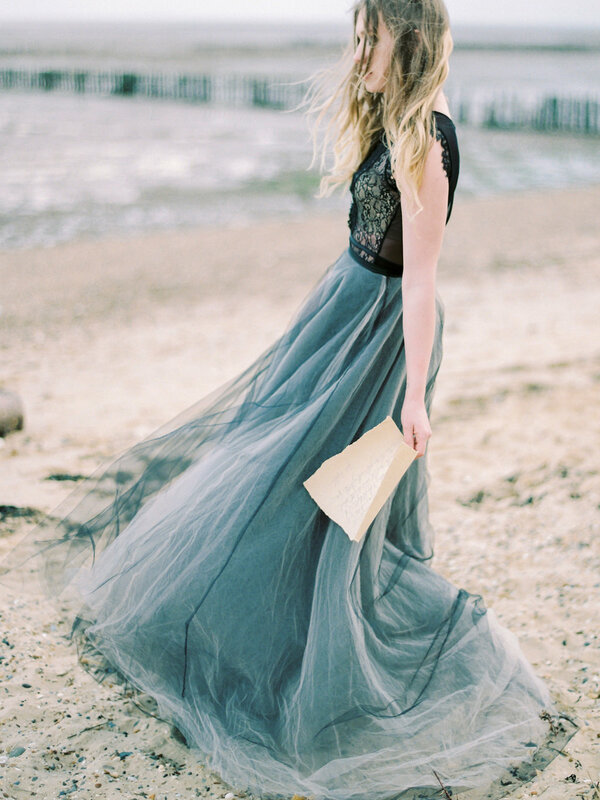 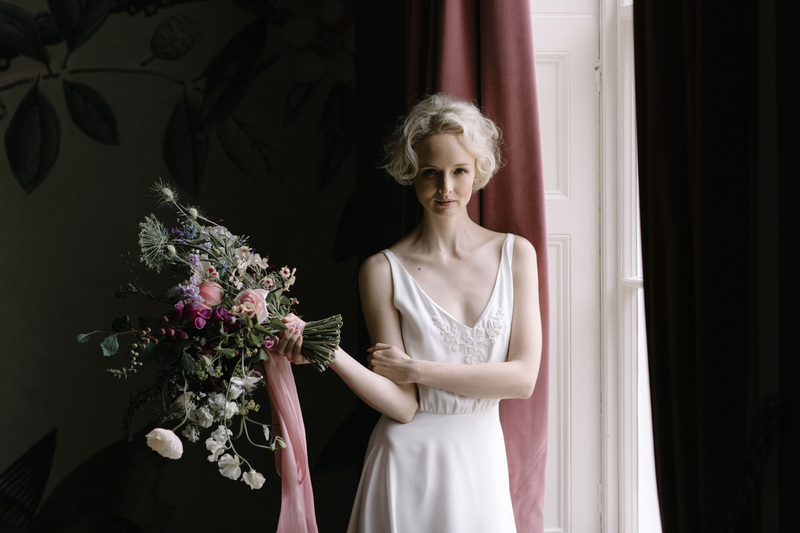 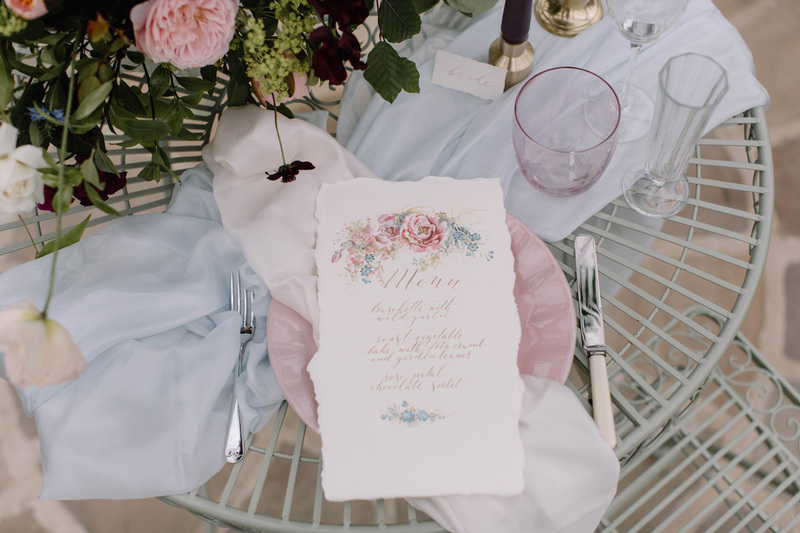 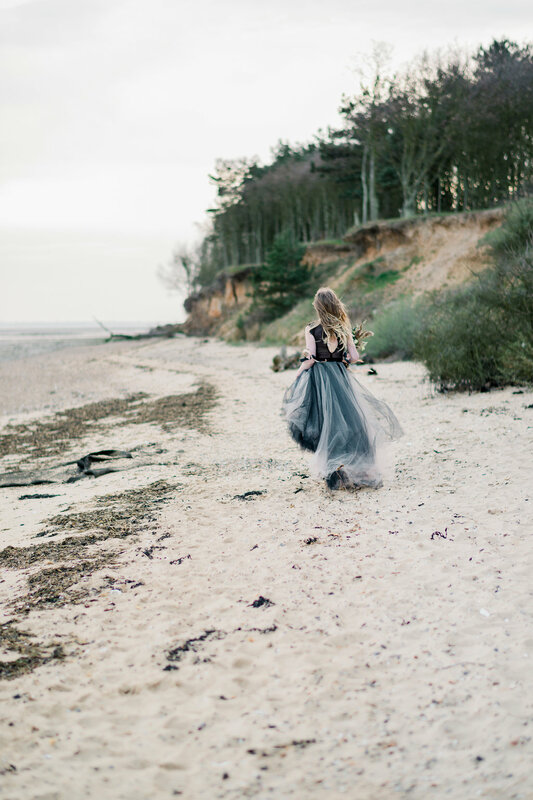 This breathtaking shoot has just been featured on the wonderful Magnolia Rouge wedding blog. 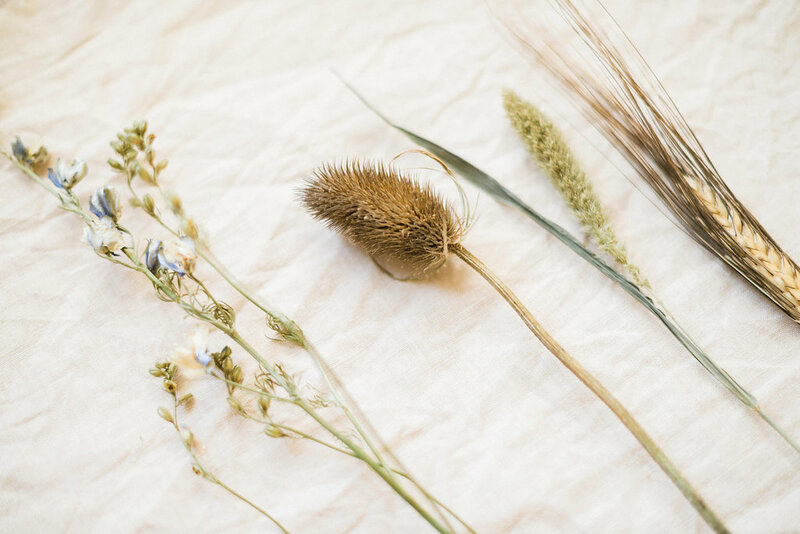 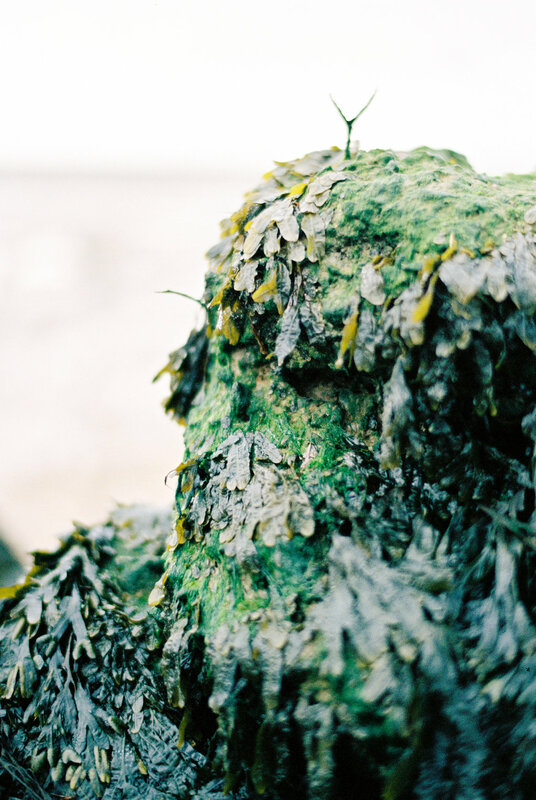 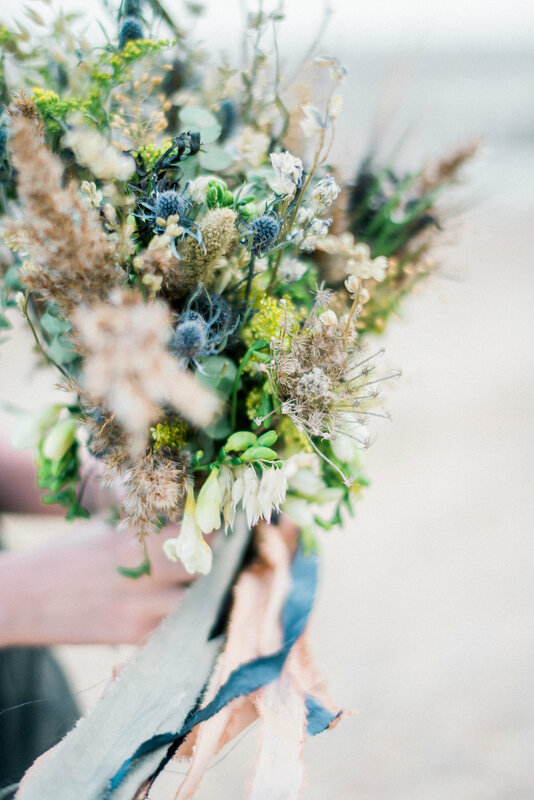 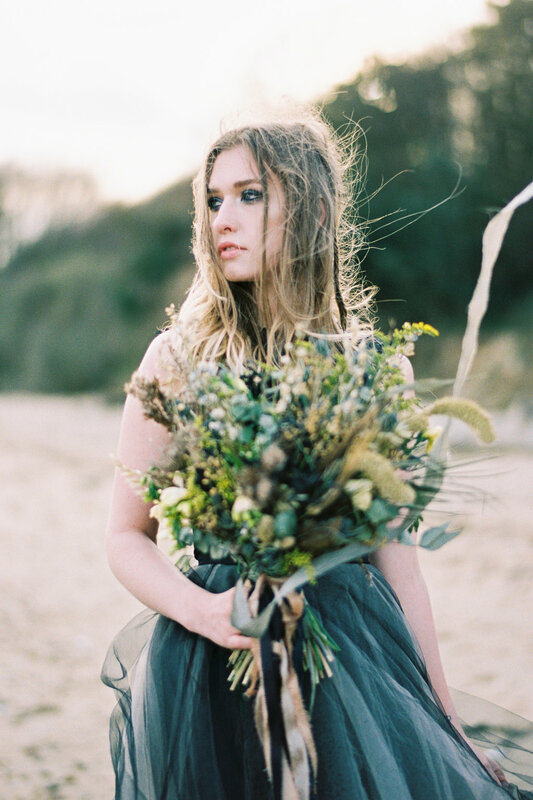 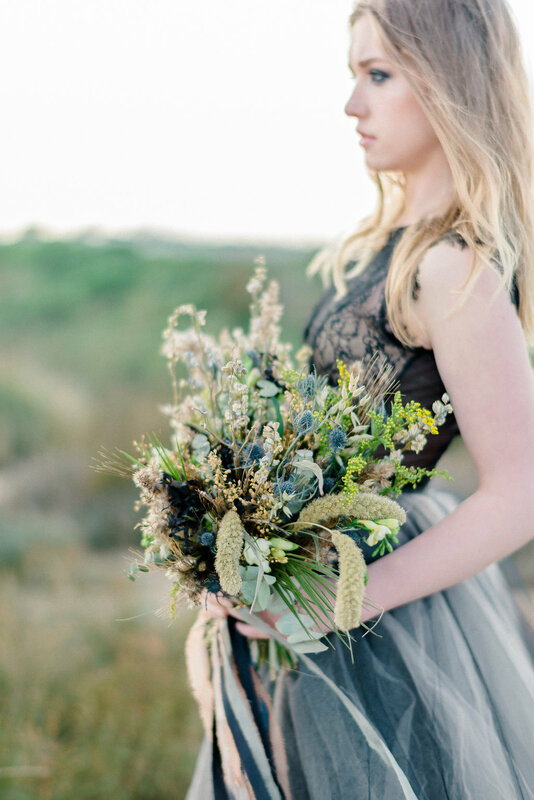 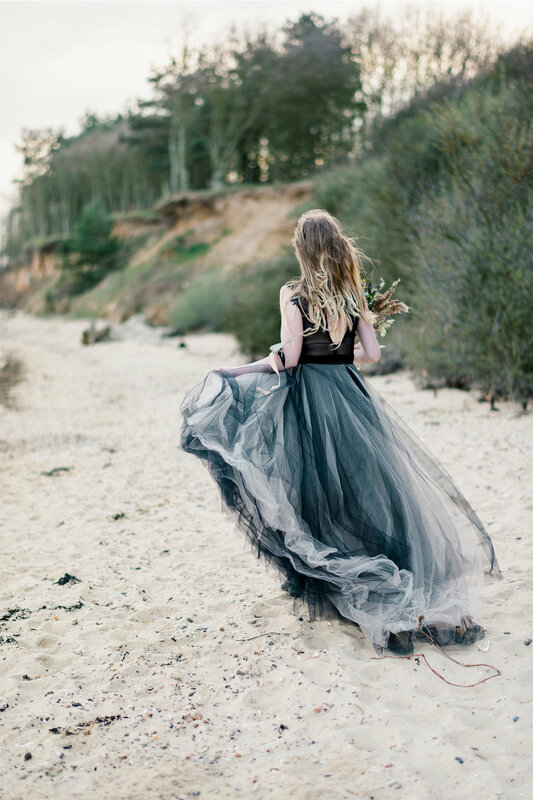 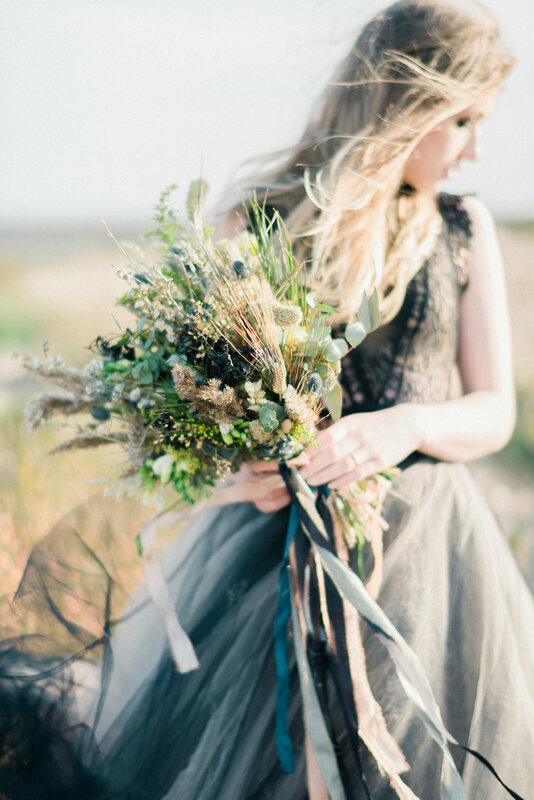 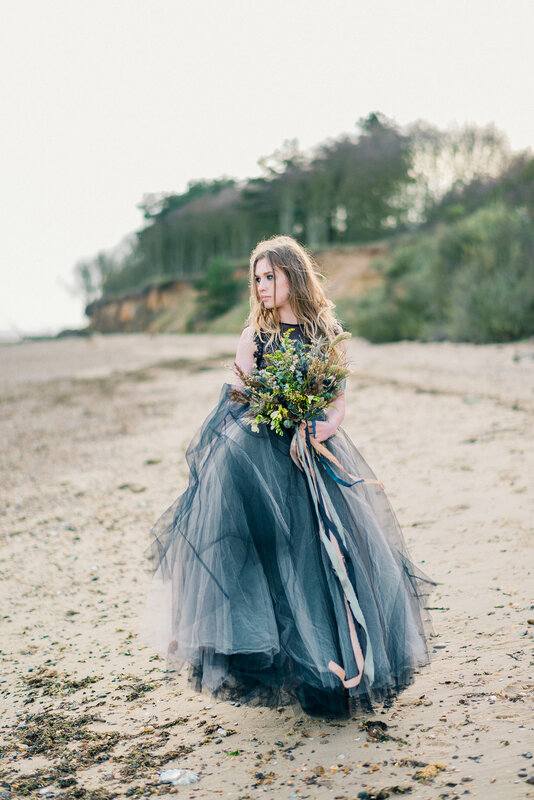 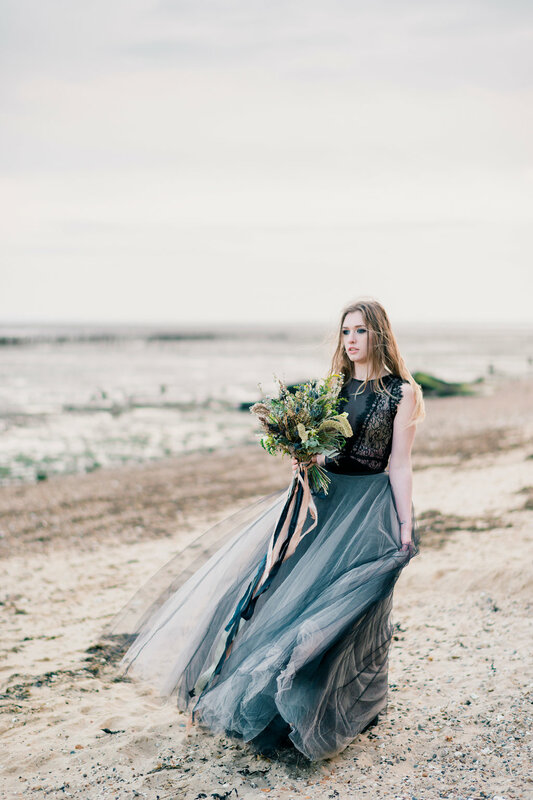 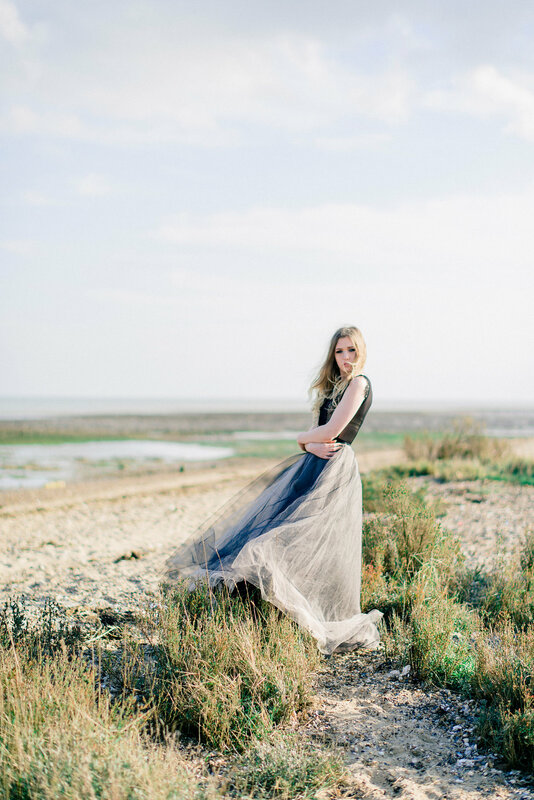 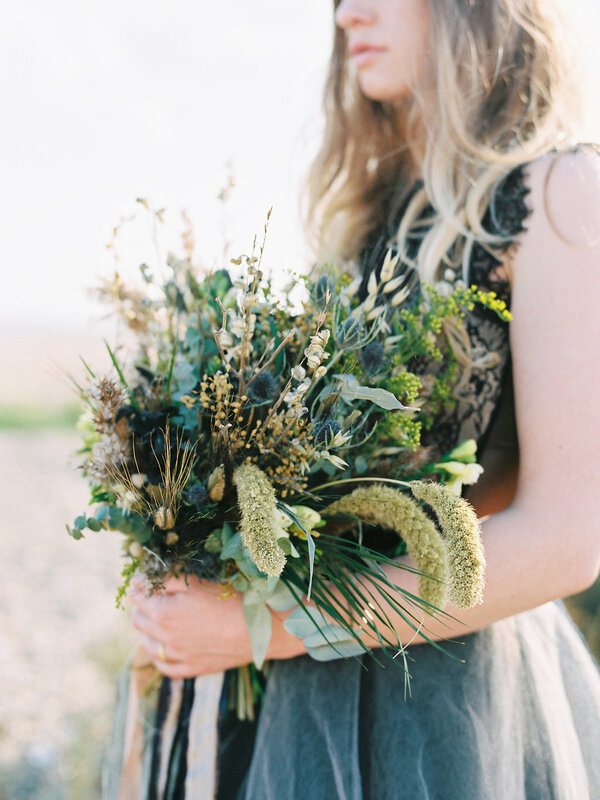 An organic and natural beach bridal look, designed around the location itself and curated by the fabulous Kathryn Hopkins Photography. 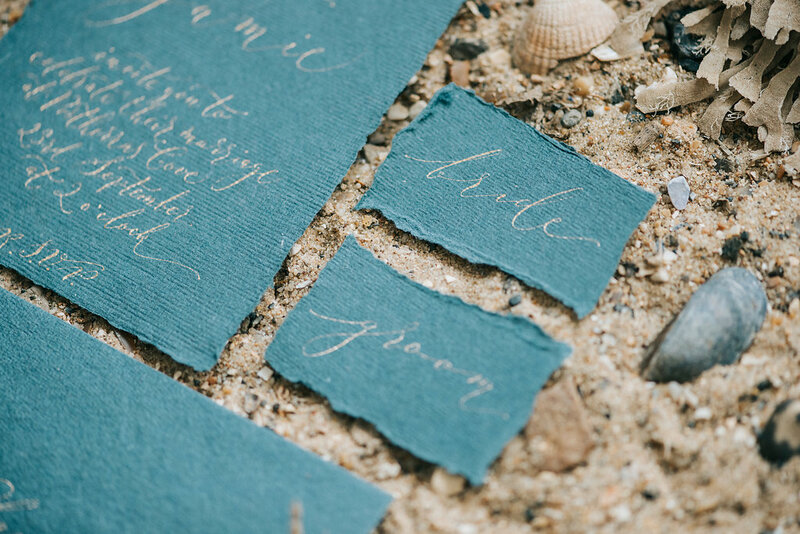 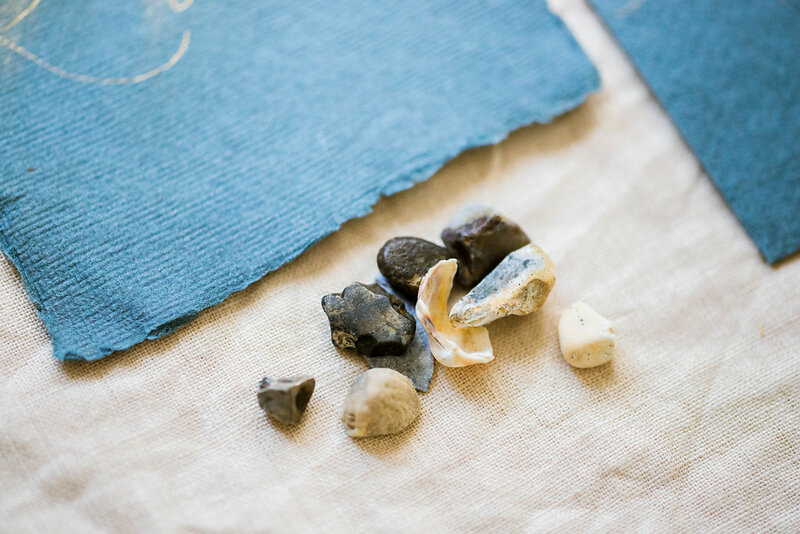 “The colour palette of black, sand, sage green and slate blue derived from the seaweed, mussel shells, and the overall location.” The hand torn edges of the calligraphy suite mimic the wildness of the landscape, shaped entirely by nature. 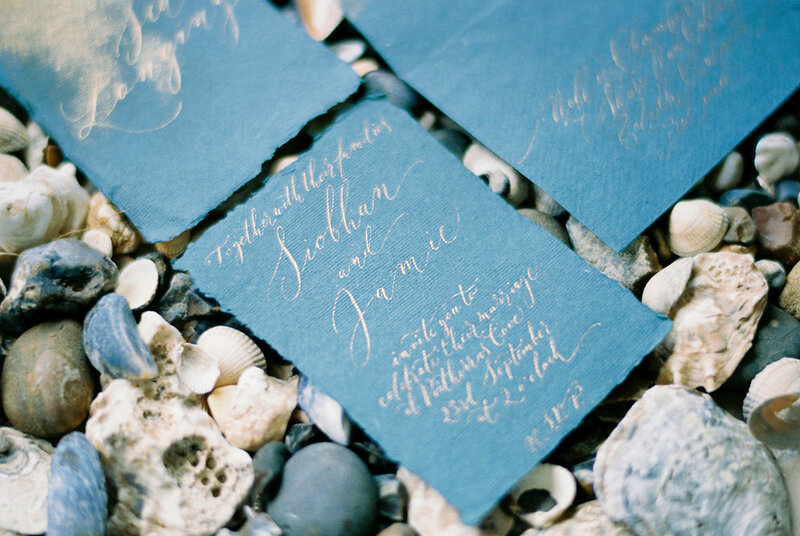 Organic, flowing modern calligraphy lettering in an almost windswept style. 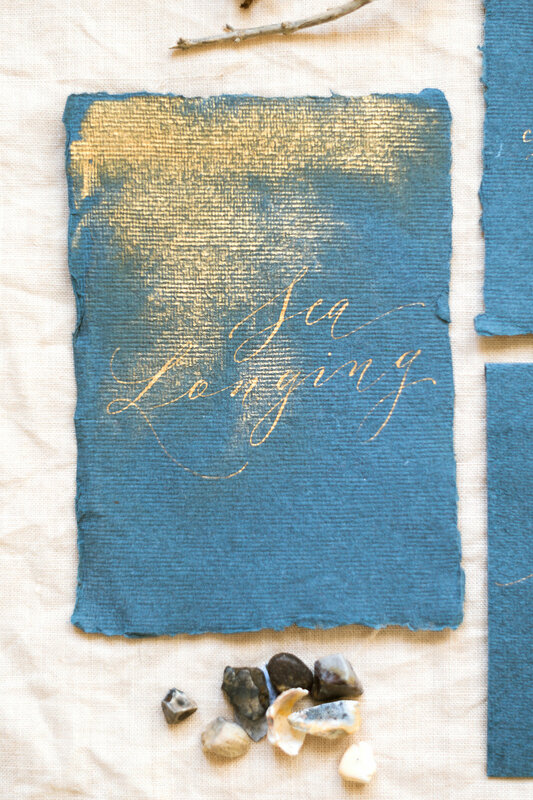 With handmade papers, gold #finetec inks and a scattering of gold powder. 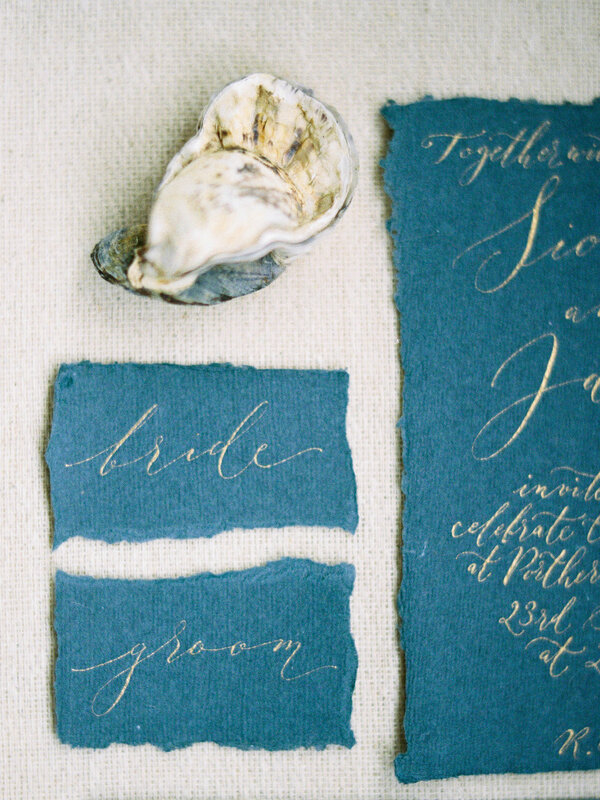 Do you have your heart set on learning a specific style of calligraphy? 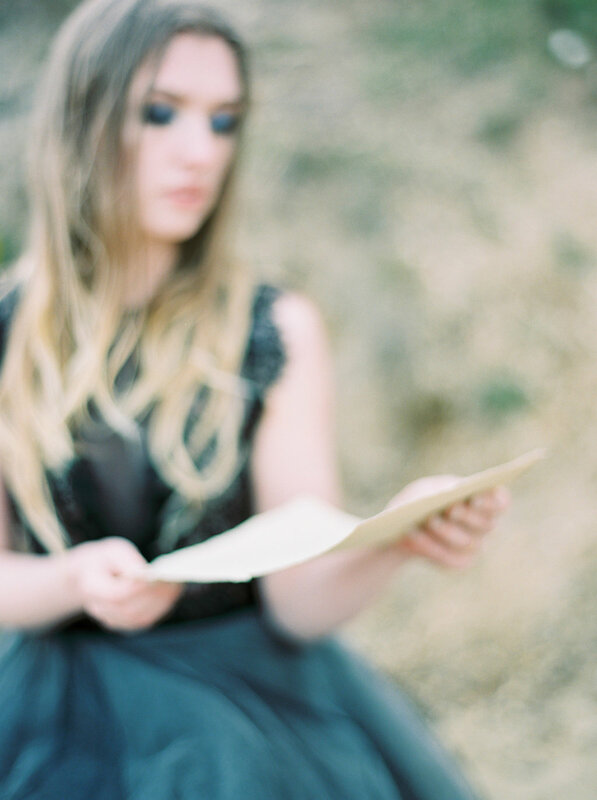 If so, you’re not alone. 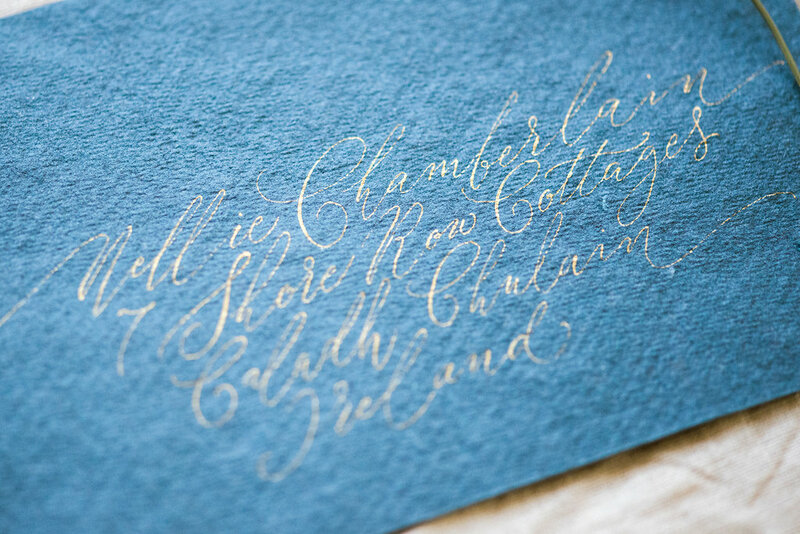 So many of the lovely people I’ve taught at my Manchester calligraphy workshops are there because they’ve seen a style of lettering they love, and want to learn to write exactly like that. 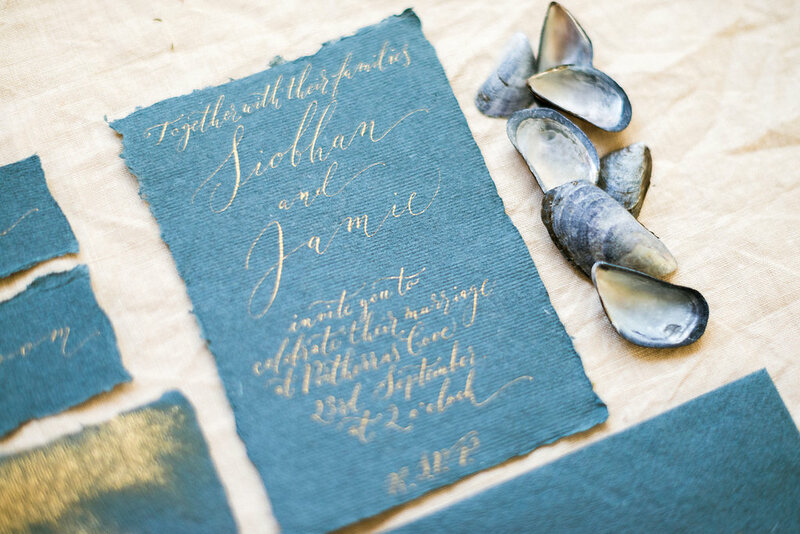 The trendiest style of modern calligraphy – as I write this article in the late summer of 2017 – is loose, flowing and organic. 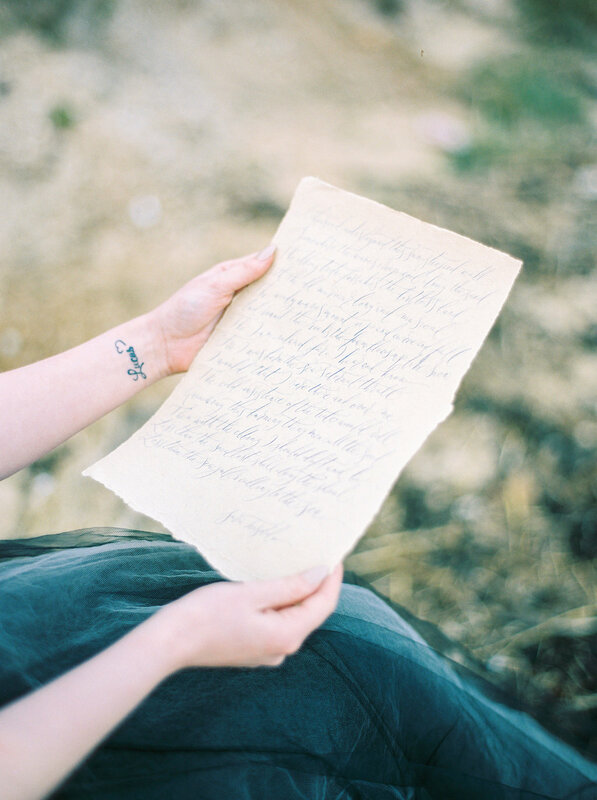 It’s a beautiful style to read and to write – and if you come to my workshop I can certainly teach you how it’s done. 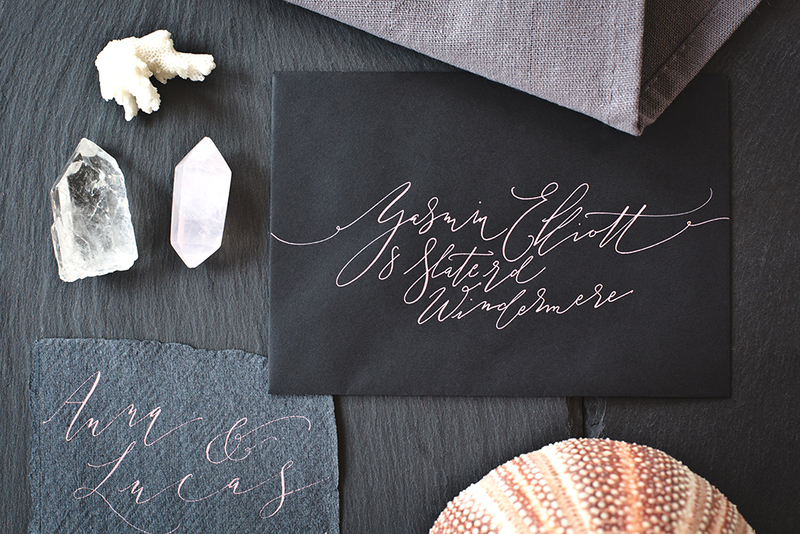 Mastering a style like this takes a little longer and involves plenty of practice. 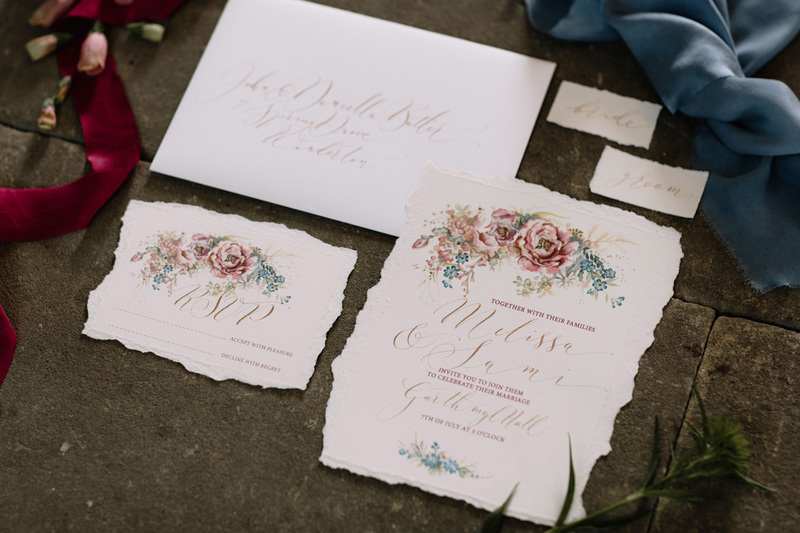 The basic modern calligraphy style was really popular in 2015 / 16. 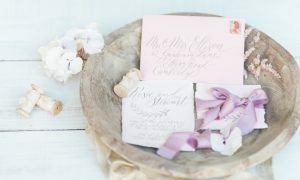 Simple, shapely letters with a contrasting thick and thin flow and a steady rhythm featured at every wedding and in every brand of artisan jam! 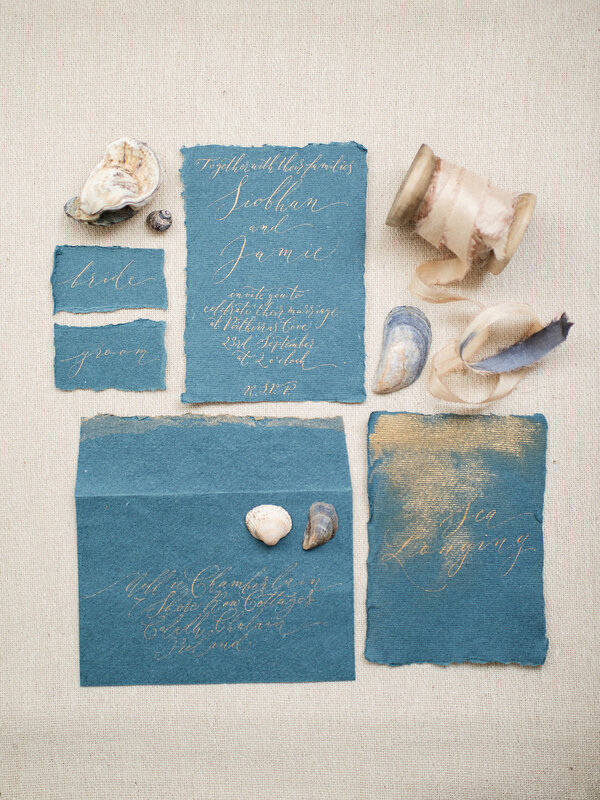 This is still the style I begin my calligraphy workshops with today. 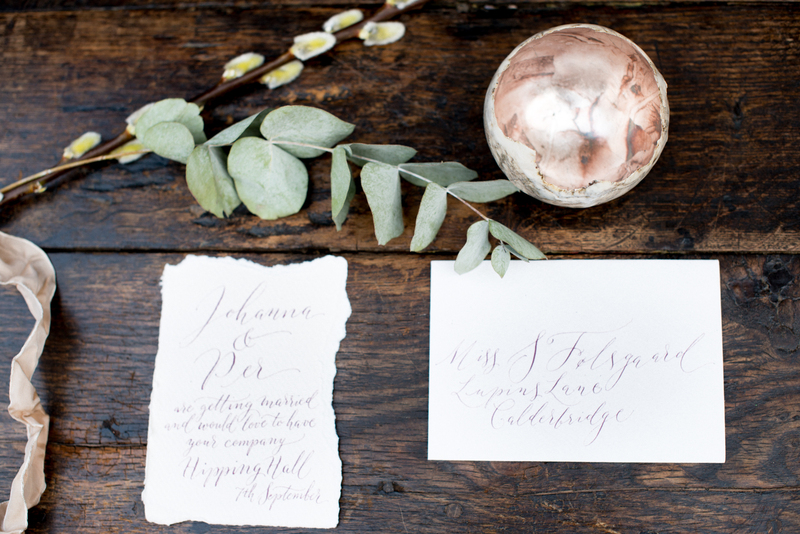 It’s easy to learn and a great way to become familiar with your new calligraphy pen. 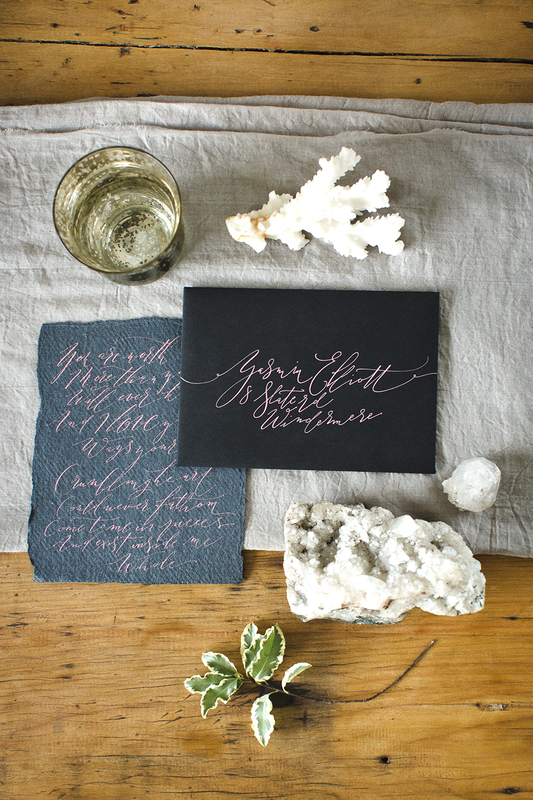 It’s also a fantastic stepping-stone to go on and learn a more raw organic style from. 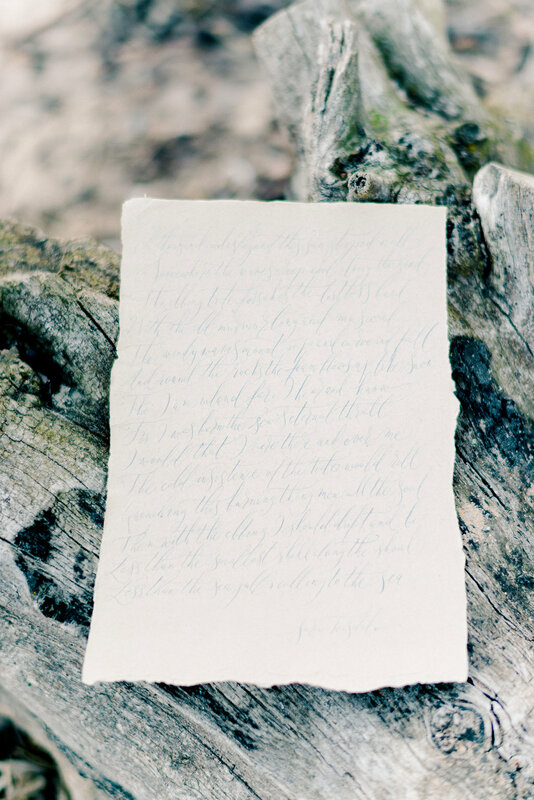 The difference between the two is not in the letters themselves: it’s in the spacing between and in the lightness and curve of the joining strokes. 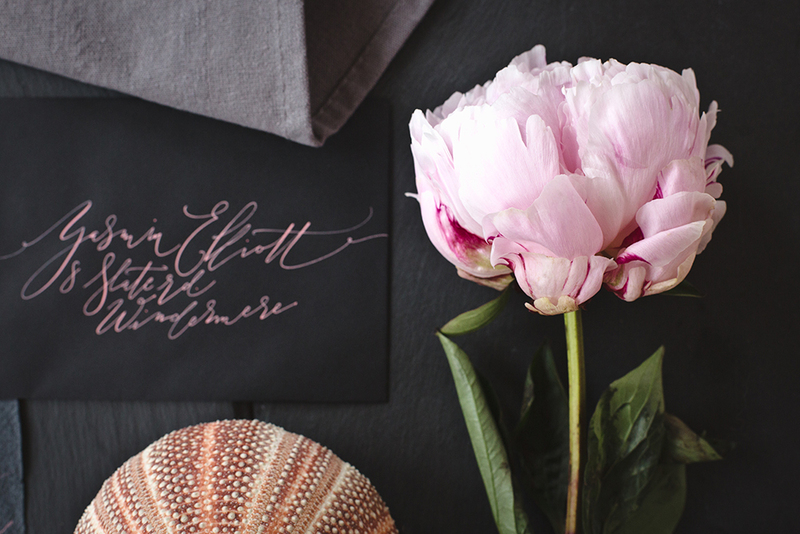 There’s no shortcut to learning an organic modern calligraphy style. 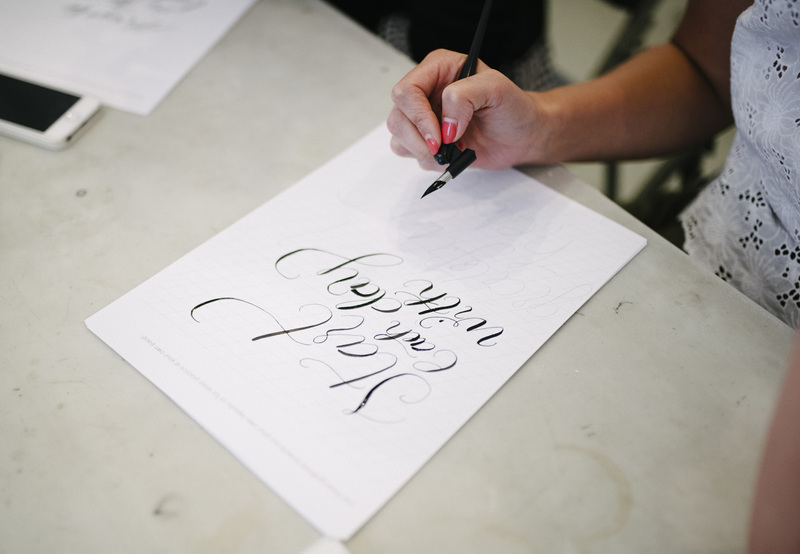 You need to understand how your pen flexes and bends, and to gain the confidence to form a hairline-thin, sweeping stroke first. 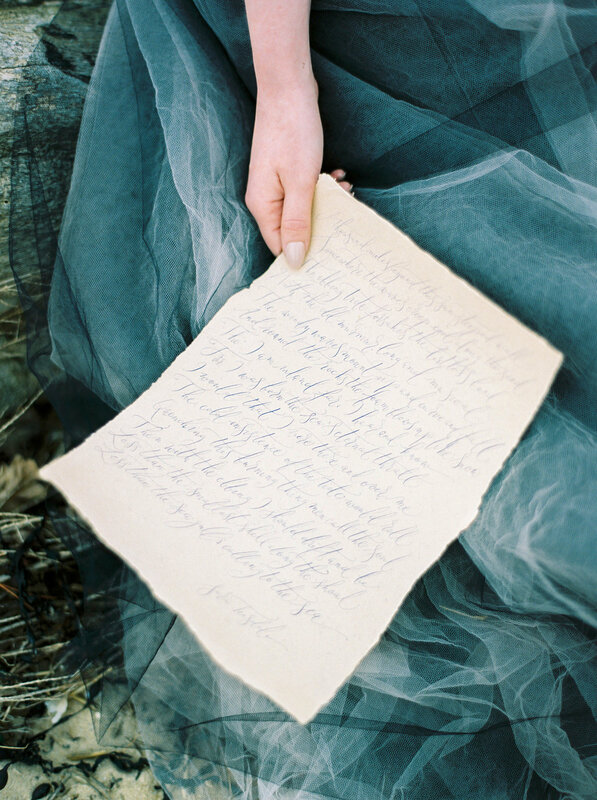 This comes with time. 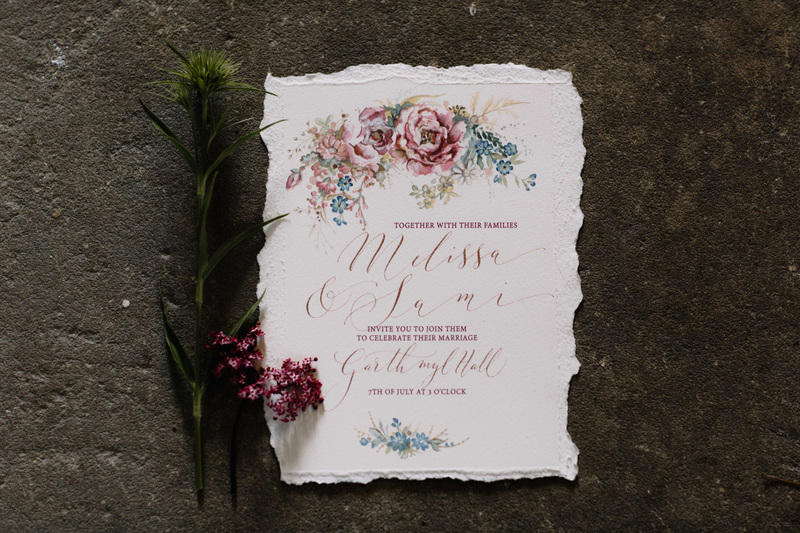 Then all you need to do is experiment with long, free and curvaceous joining strokes to achieve a perfectly on-trend, modern organic calligraphy style. 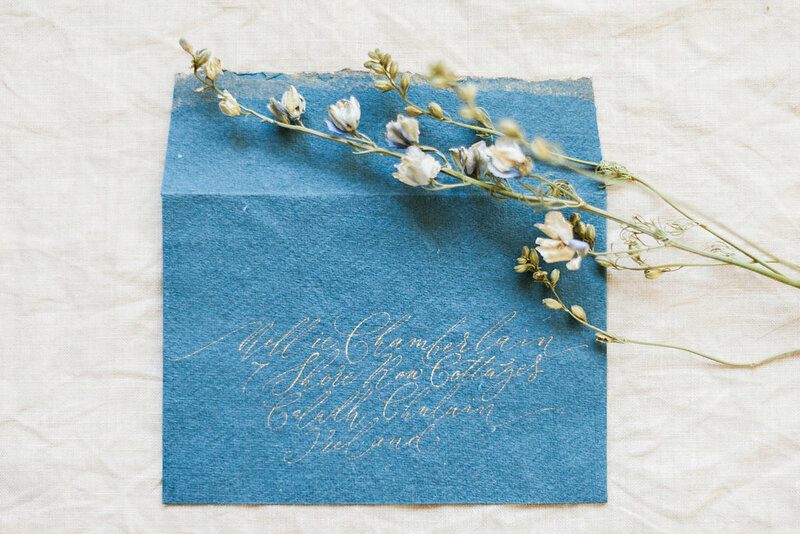 Join me for a modern calligraphy workshop in Manchester! 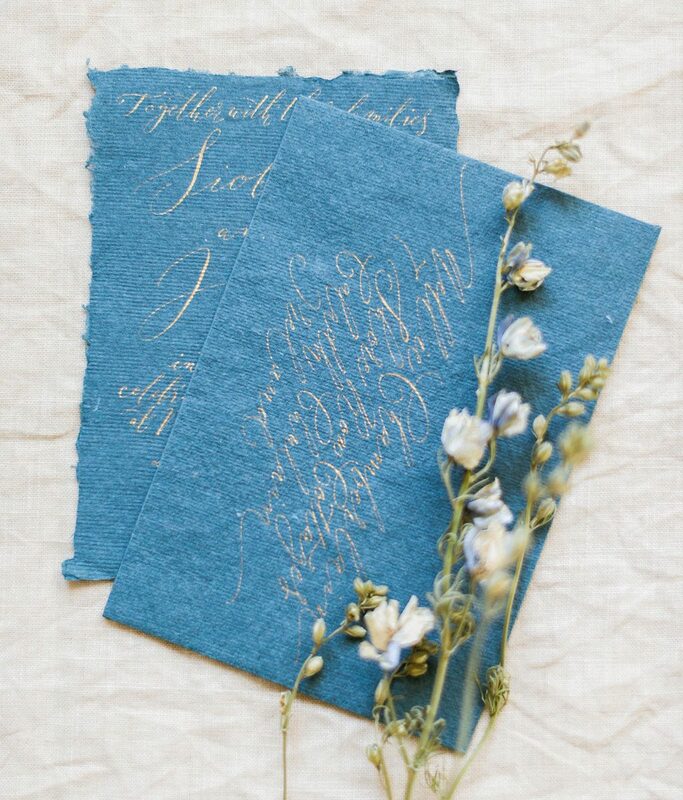 *Workshop only price – calligraphy kits will be available to purchase on the day. 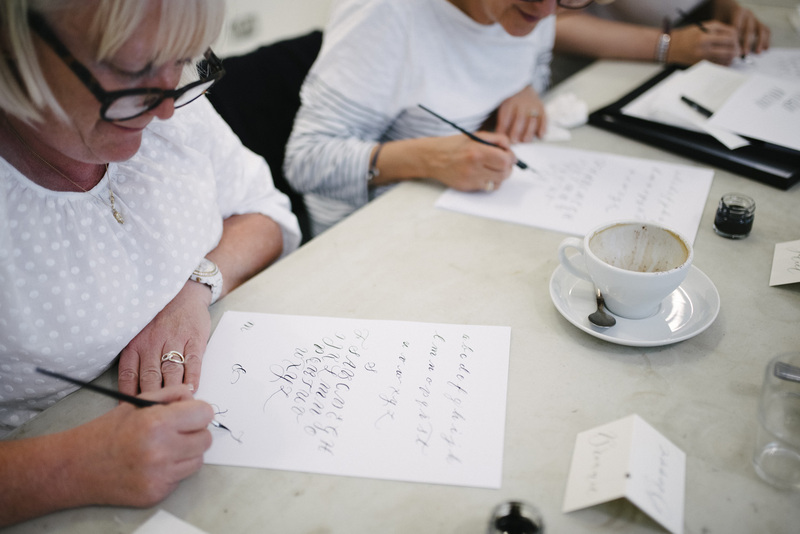 *starred workshops include a personalised calligraphy starter set for you to take home, with a pen and nib set, alphabet sample sheets, example quotes and a box to keep your calligraphy goodies inside. 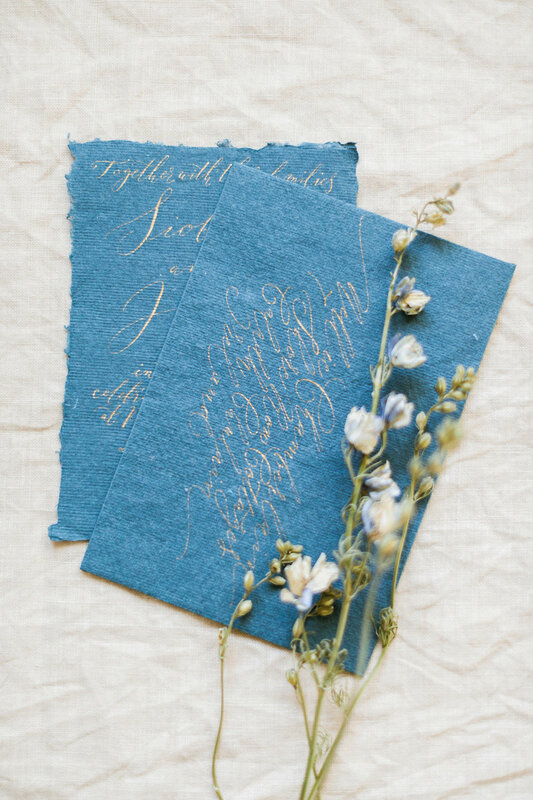 All workshops will have a little pop-up shop for you to buy penholders and nibs, brush lettering pens, hand mixed inks in a rainbow of colours, and calligraphy books to guide you in your practice at home.